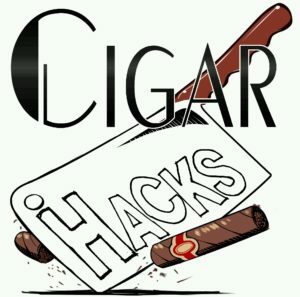 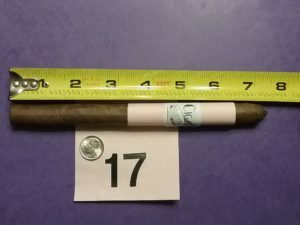 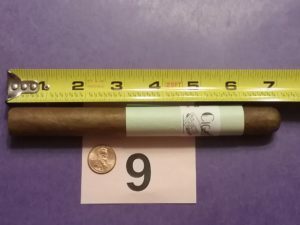 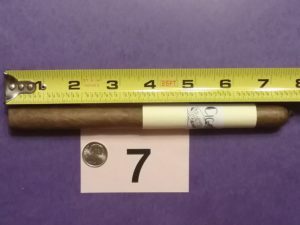 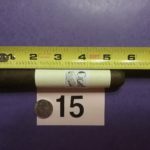 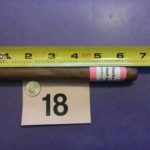 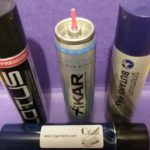 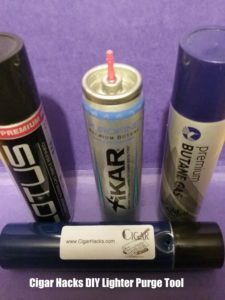 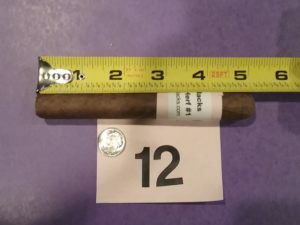 Cigar Hacks Podcast – Page 6 – A bunch of hacks talking cigars etc. The Hidden Herf is a special treat for the panel, it also demonstrates how individual palates change over time. 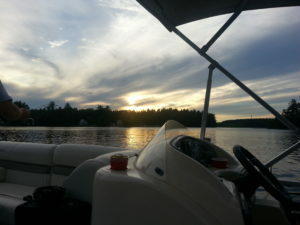 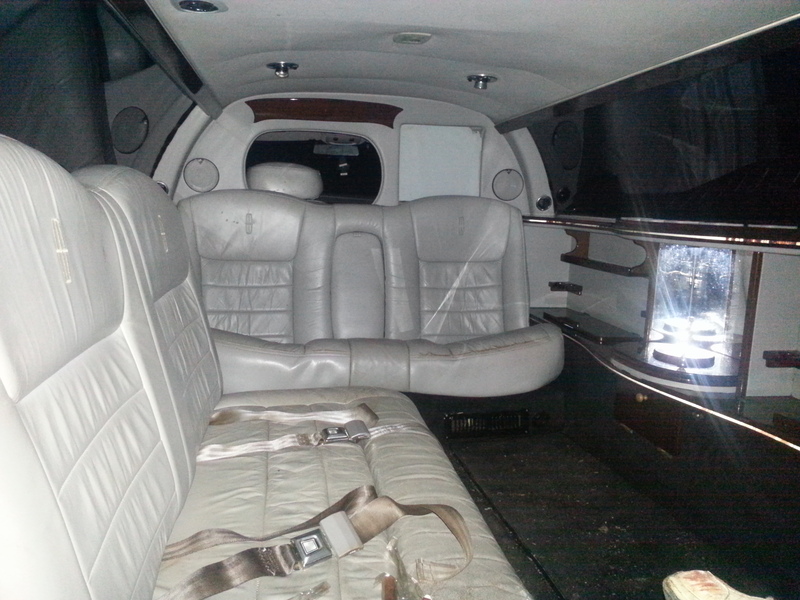 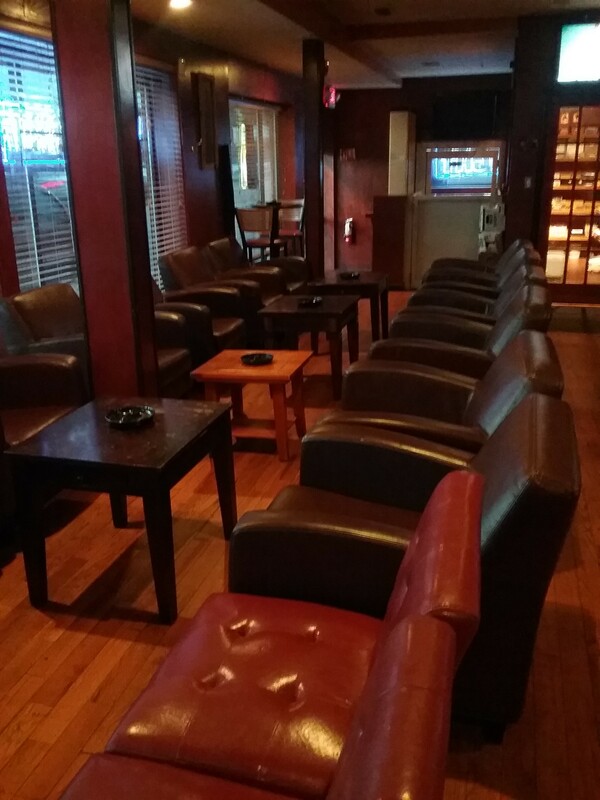 We take our time with the events and discuss other topics related to each lounge or event. 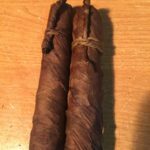 Cow Tongue and Aganorsa tobaccos work their way in to the talk. 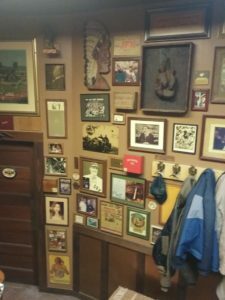 A few anecdotes from Comedy Chris keep us in stitches. 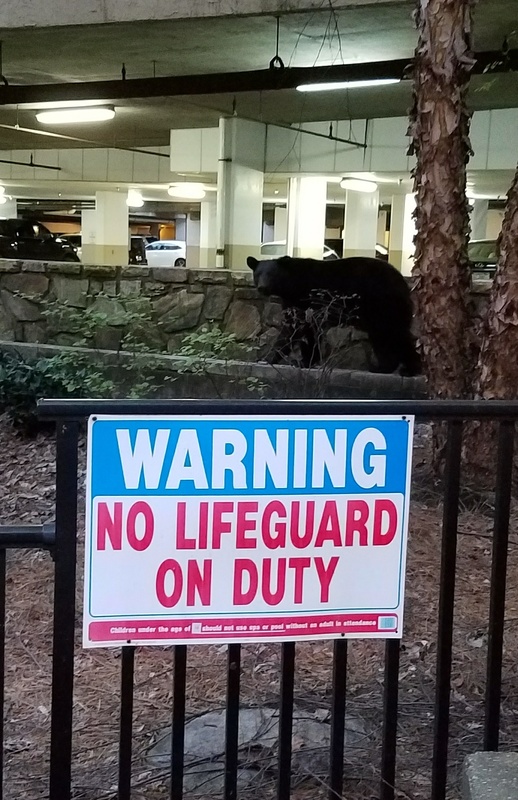 Everything from boiled peanuts to an exploding charcoal grill is open for discussion. 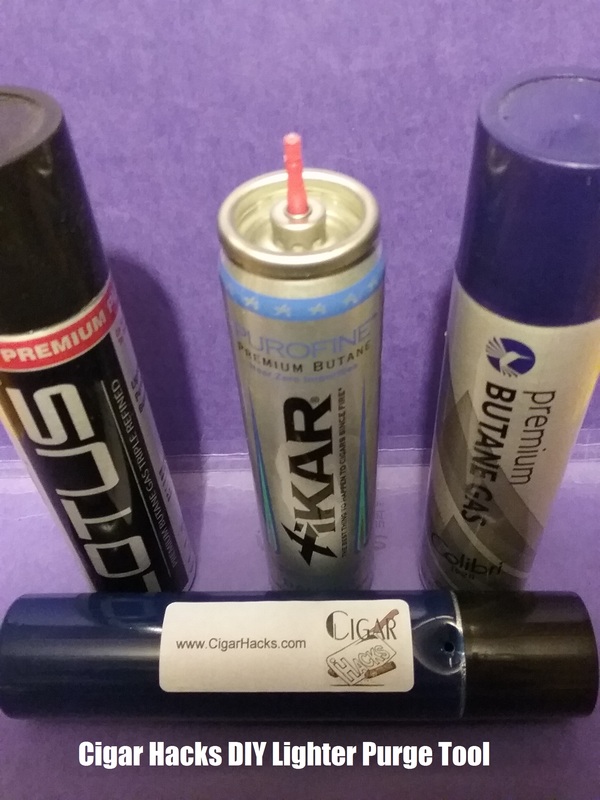 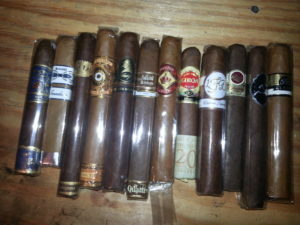 We add a new member to the Cigar Hacks; The Bearded Blunder, and he fits right in. 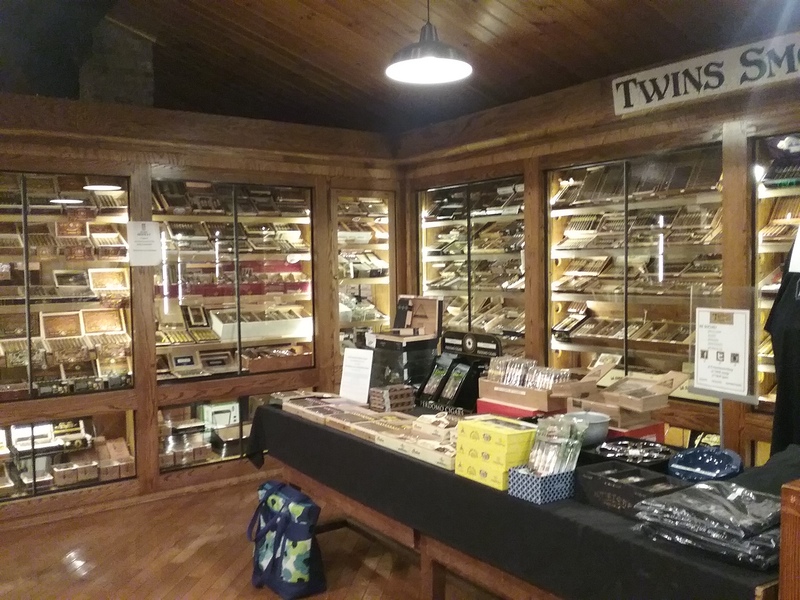 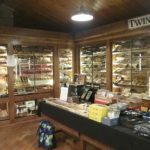 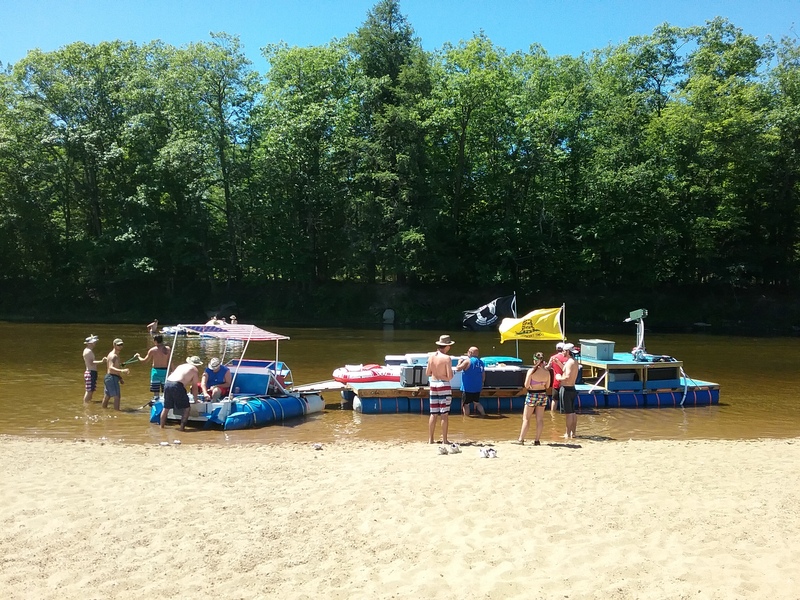 Local Spotlight: Twins Smoke Shop – Hookset, NH. 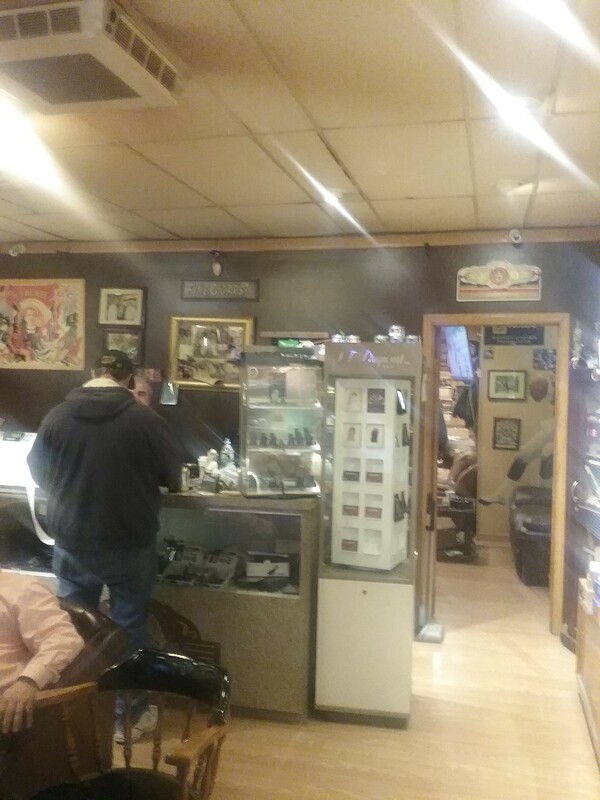 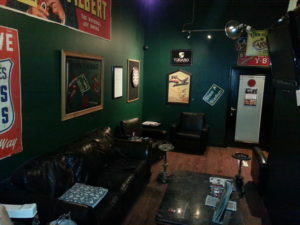 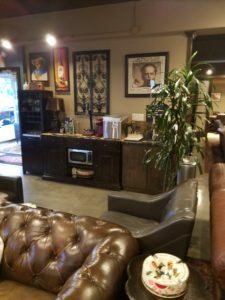 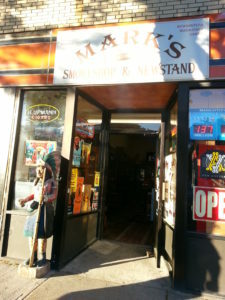 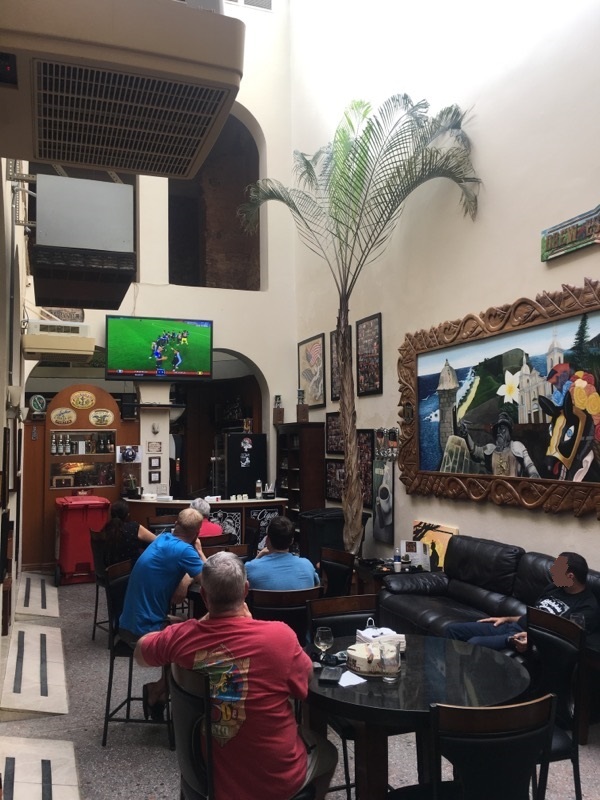 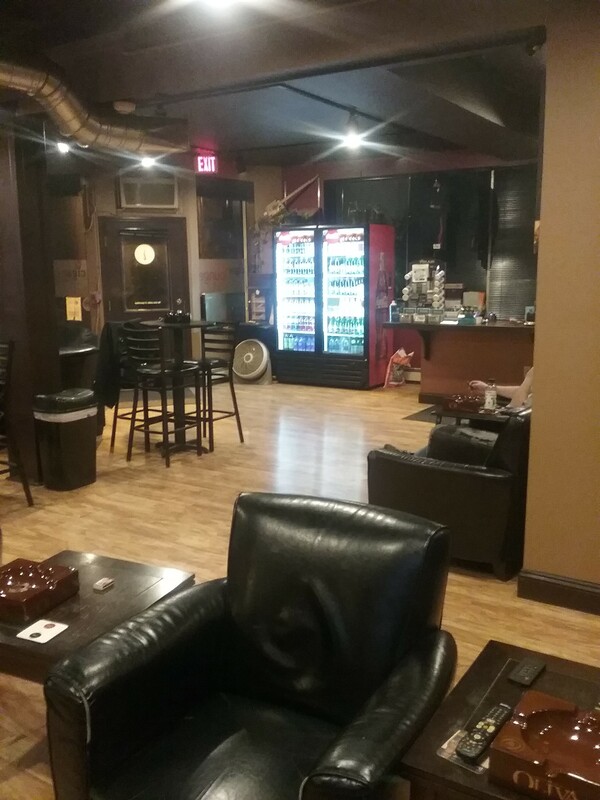 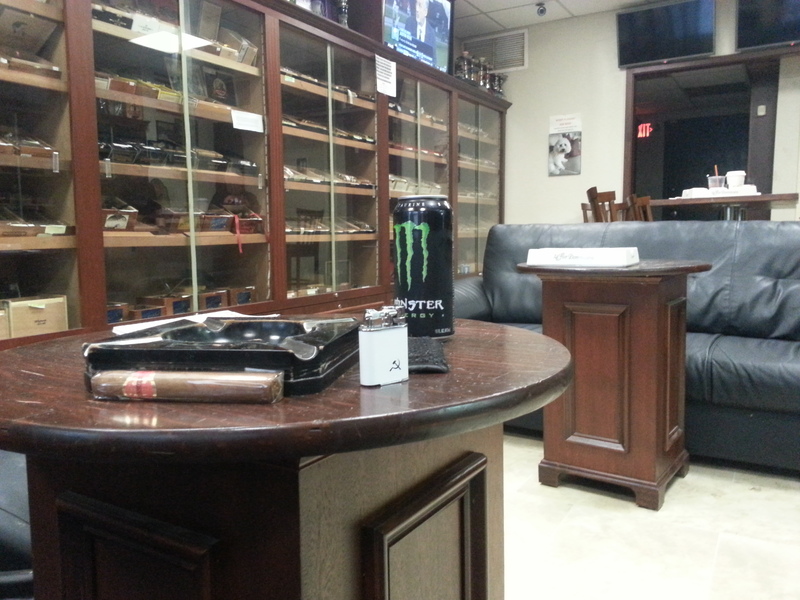 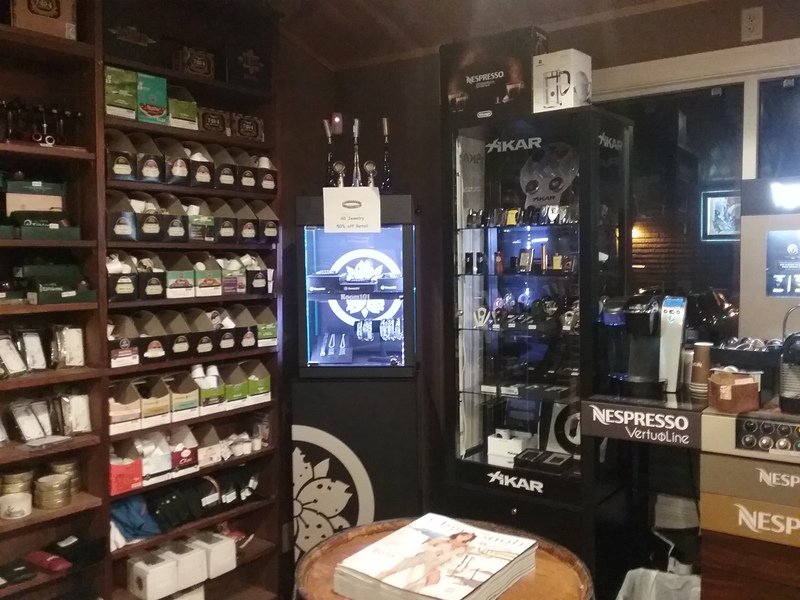 A compact but friendly lounge and smoke shop that carries cigars, pipes and coffee. 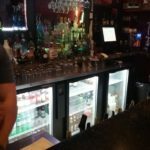 Conspiracy Corner: In lieu of conspiracy corner (no conspiracy Hacks are with us for this episode) we go is a few different directions. 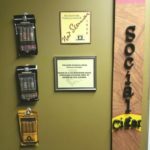 Nurse Rick uses power tools! 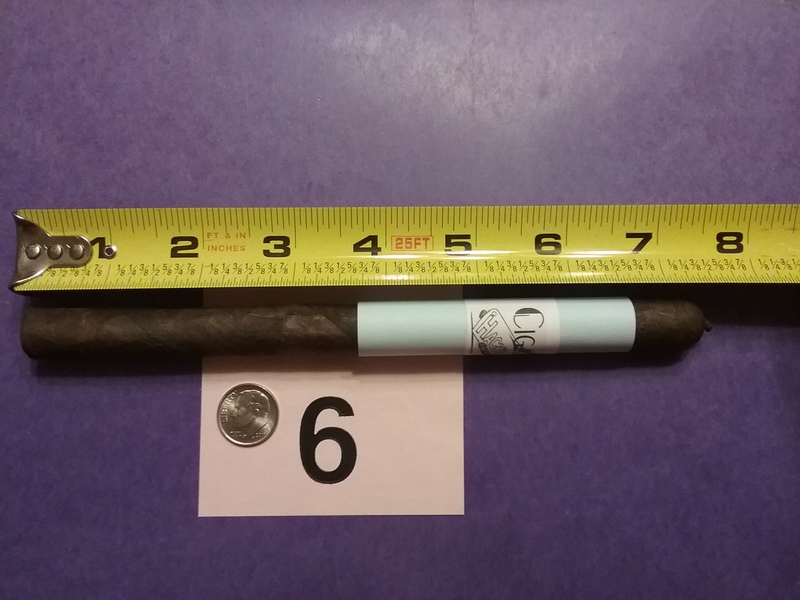 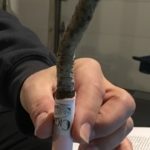 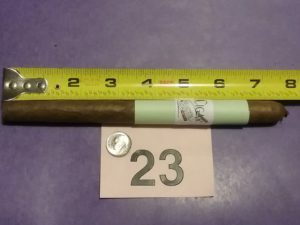 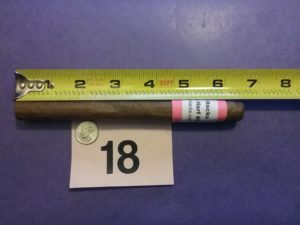 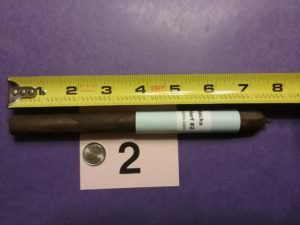 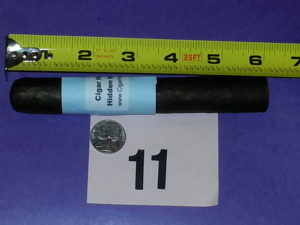 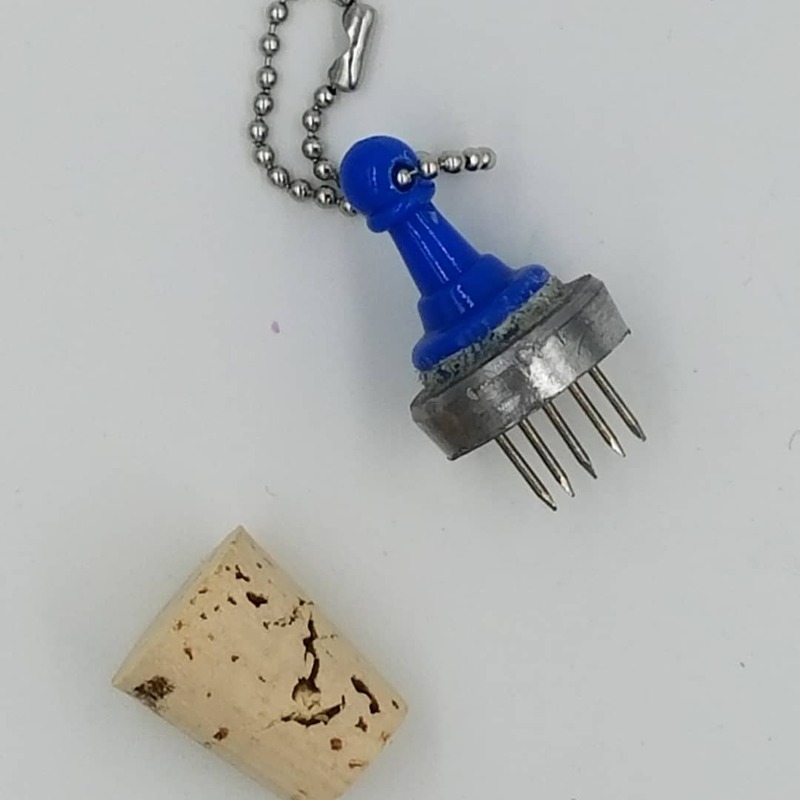 An actual DIY “Cigar Hack” – how to make a lighter purge tool for free. This week we have a slightly different format and an introduction to a new Cigar Hack; The Brooklyn Chic. With just two of us recording live the Hidden Herf is not much of a secret so the regular feature is modified. 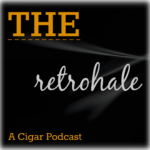 Instead of Conspiracy corner we adapt a segment recorded after hours with the boys from Colorado, Bret and Mark of The Retrohale Podcast, which turns out to be more comedy than cigars. 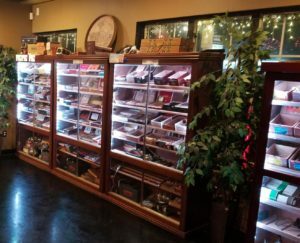 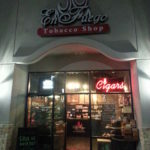 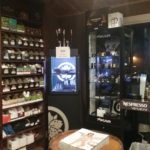 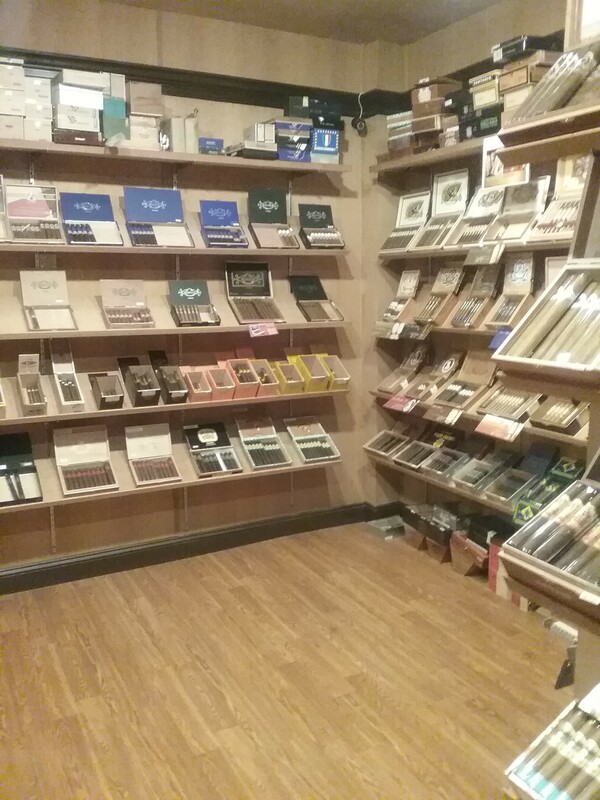 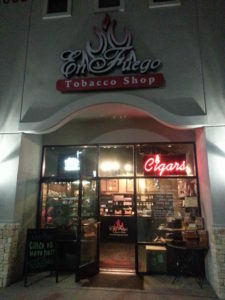 Local Spotlight: En Fuego Tobacco Shop – Rockwall, TX. 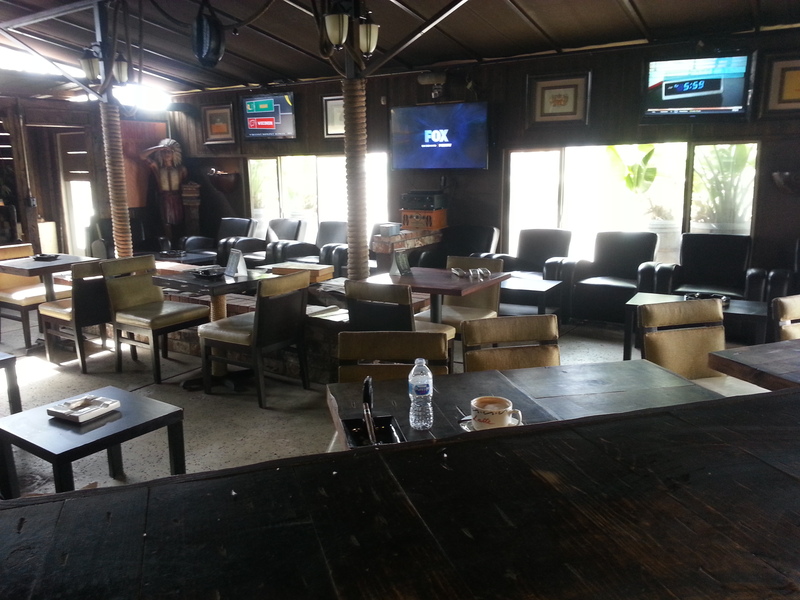 An indoor/outdoor lounge with a very large walk-in. 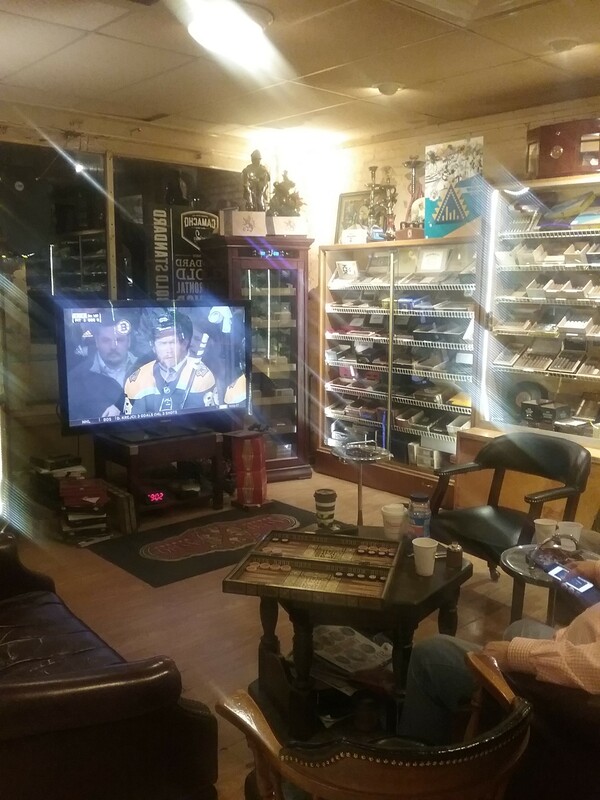 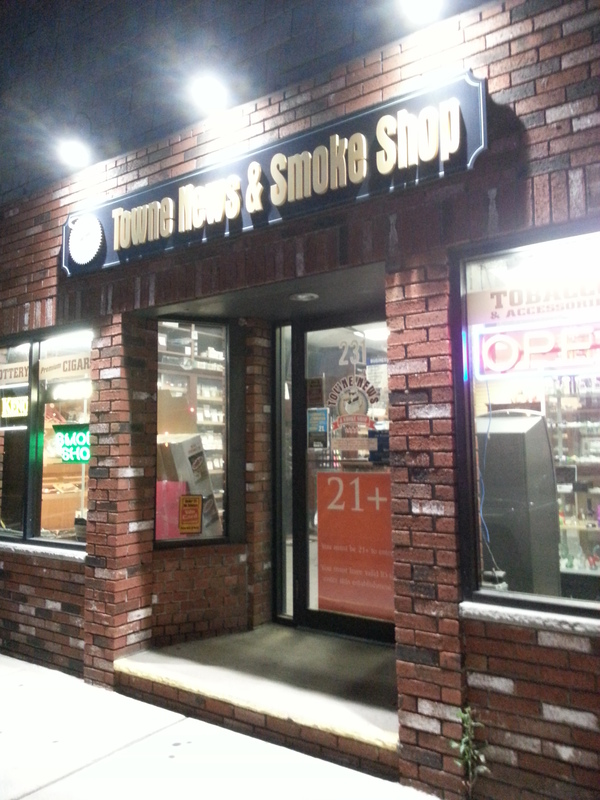 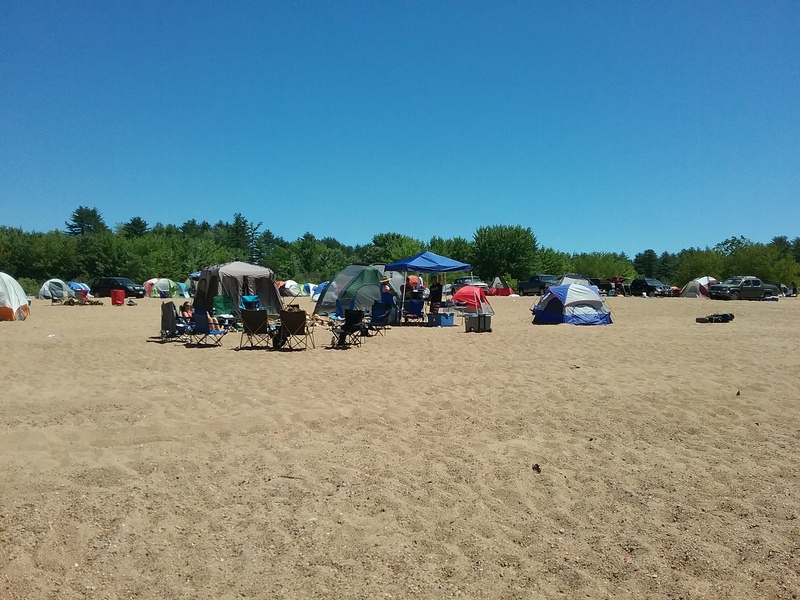 Local Spotlight: Two Guys Smoke Shop – Seabrook, NH. 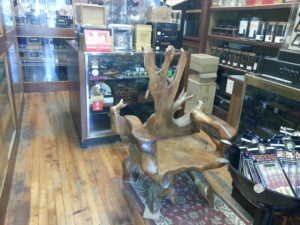 A great shop with an excellent lounge arrangement. Conspiracy corner: We cover all topics “Kennedy” from Chappaquiddick to JFK Jr. About half the episode is consumed by Kennedy related conspiracy theories, including connections to the Clintons and the Bushs. 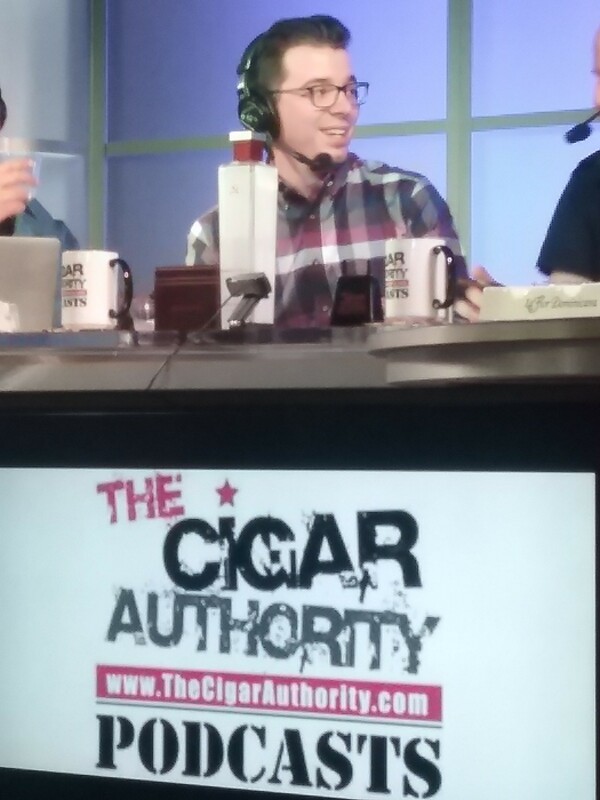 More nonsense from Nicks Novelty Hut and Marc from Maryland calls in. 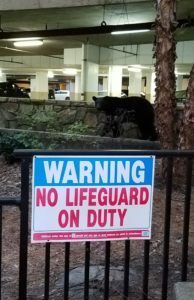 This sounds like episode 18 all over again but we have a different panel. 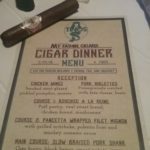 There are a lot of events this week and we get into plenty of cigar stuff. 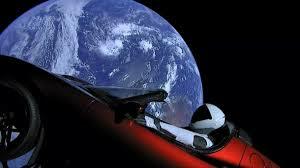 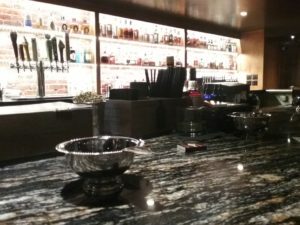 CLE and JRE, what’s the relation? J.C. Newman and Fuente, are they the same? The Hidden Herf gets a low rating. 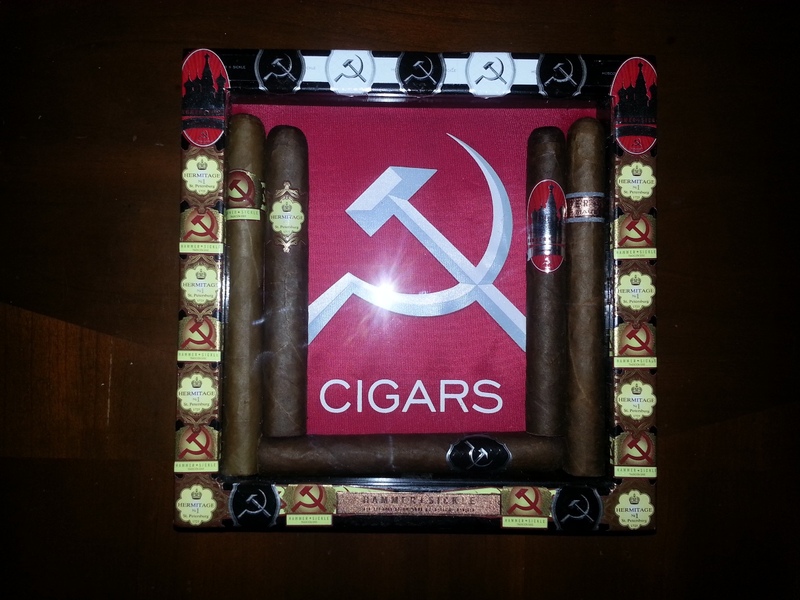 Another First – most of the panel switches to new cigars after the reveal. 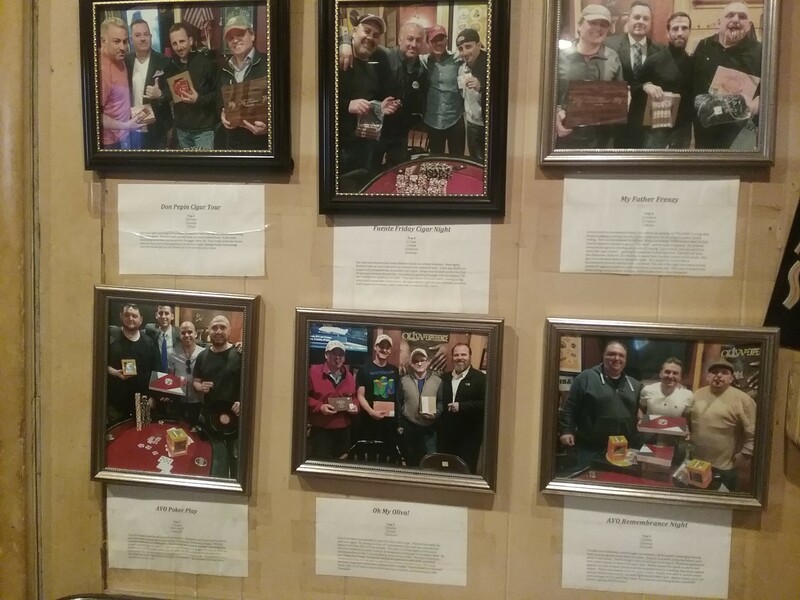 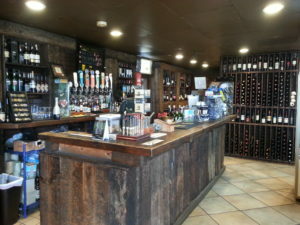 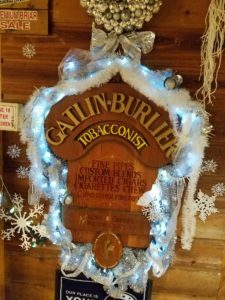 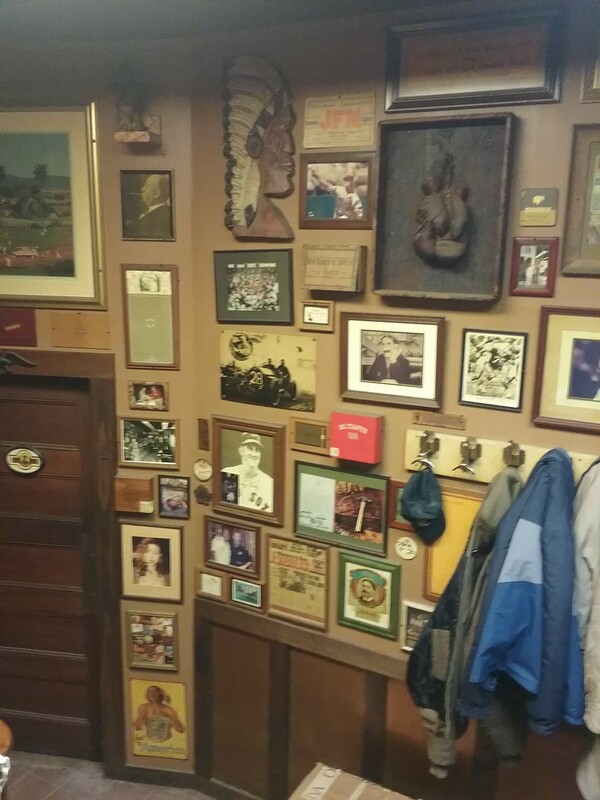 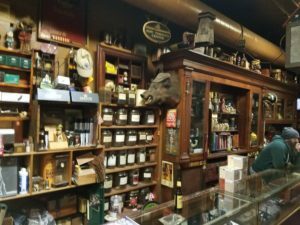 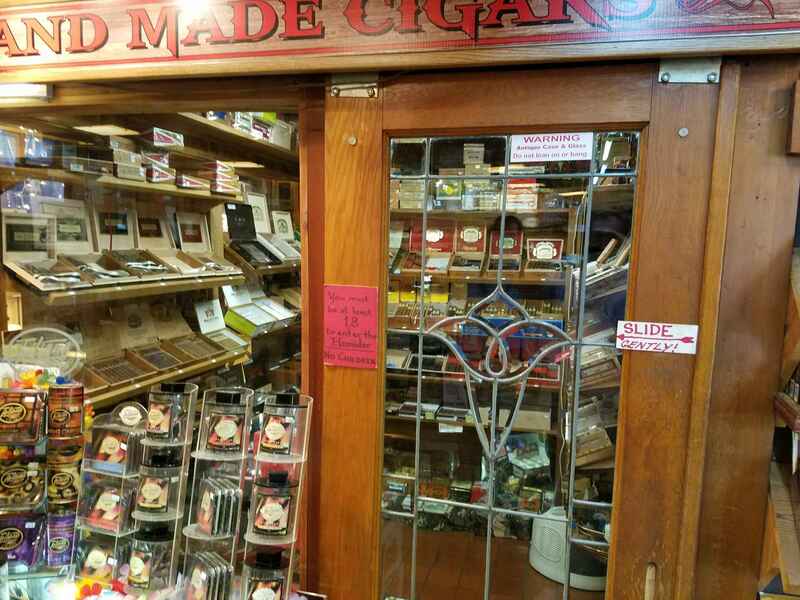 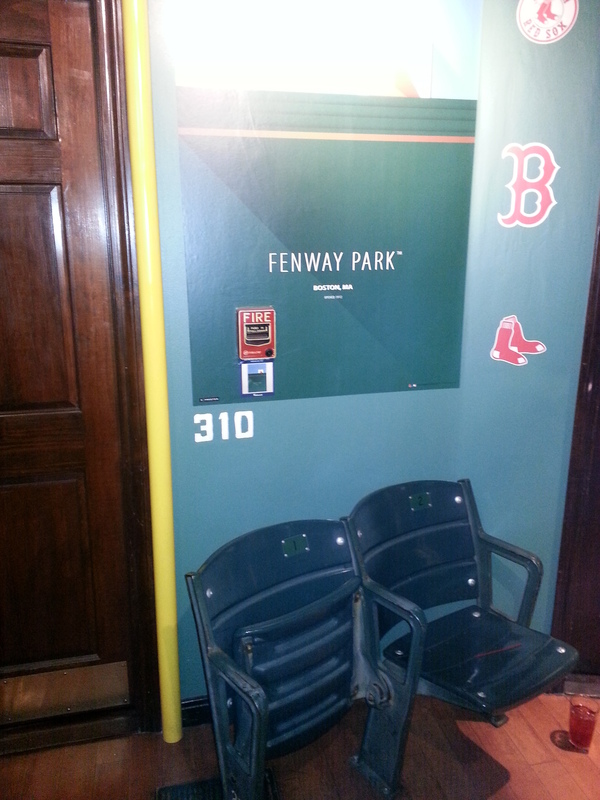 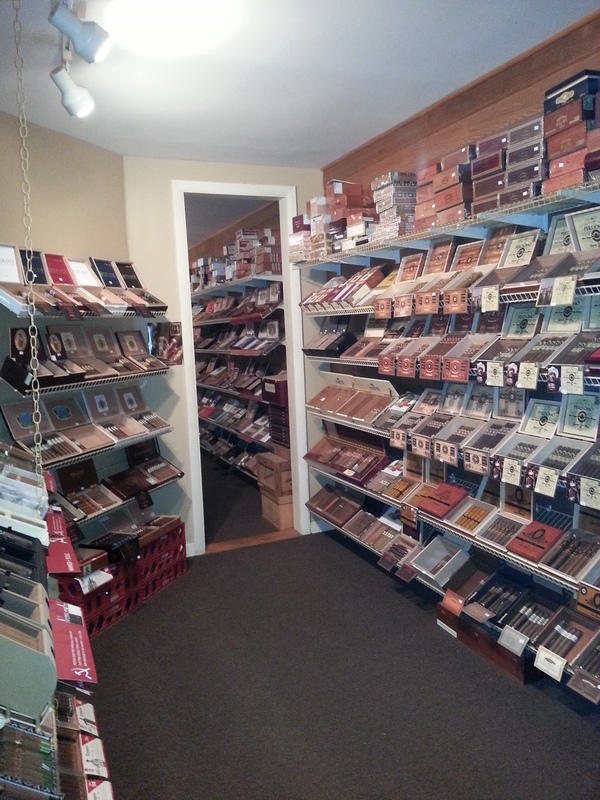 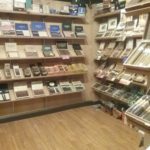 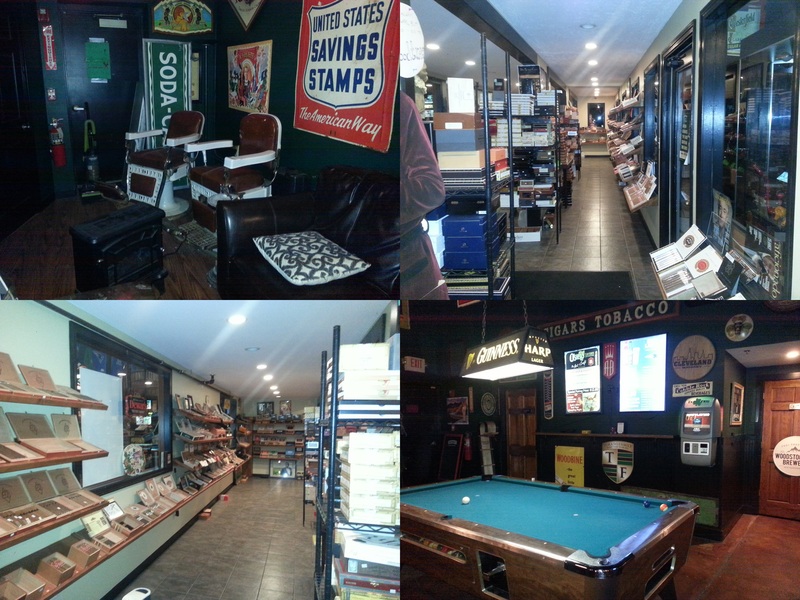 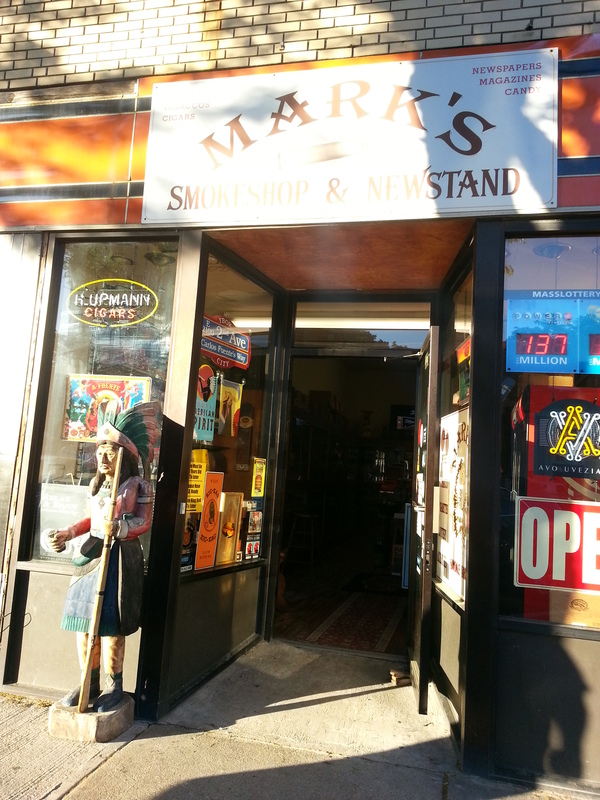 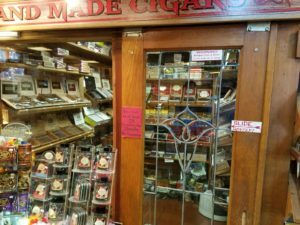 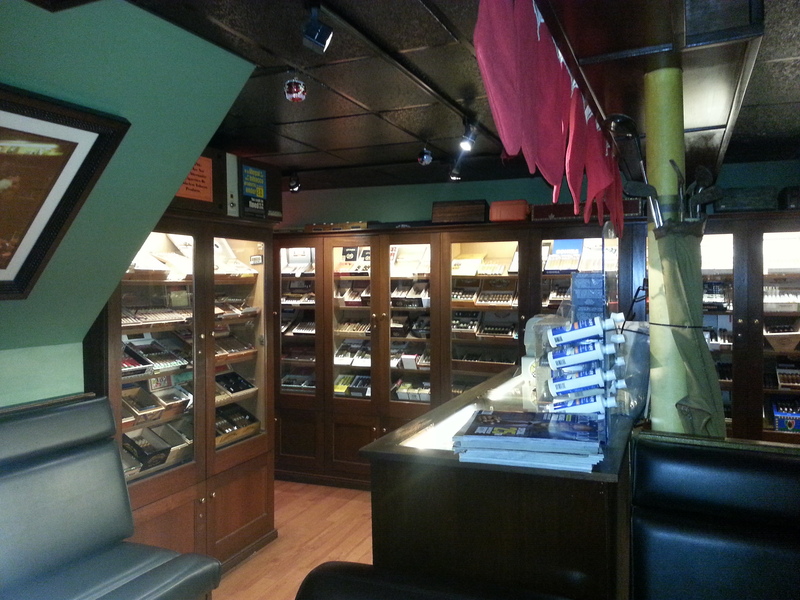 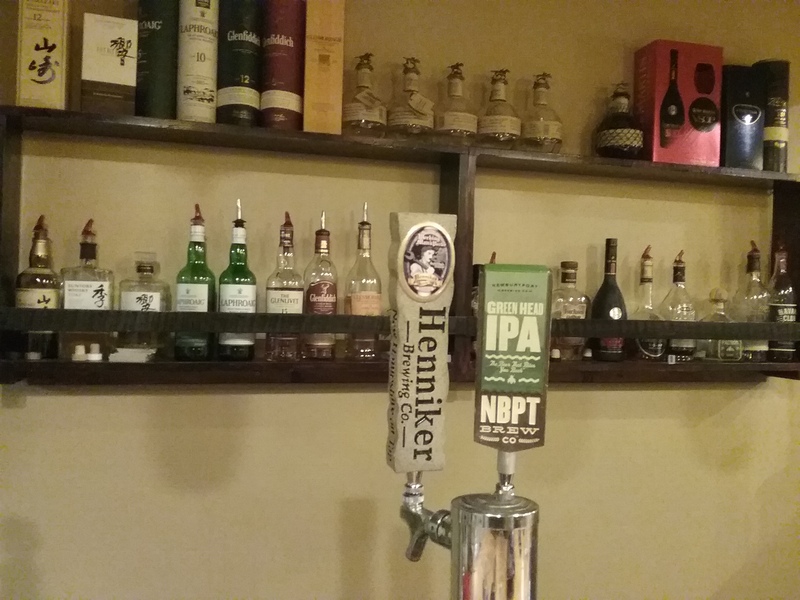 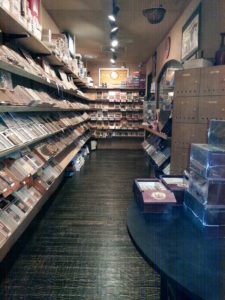 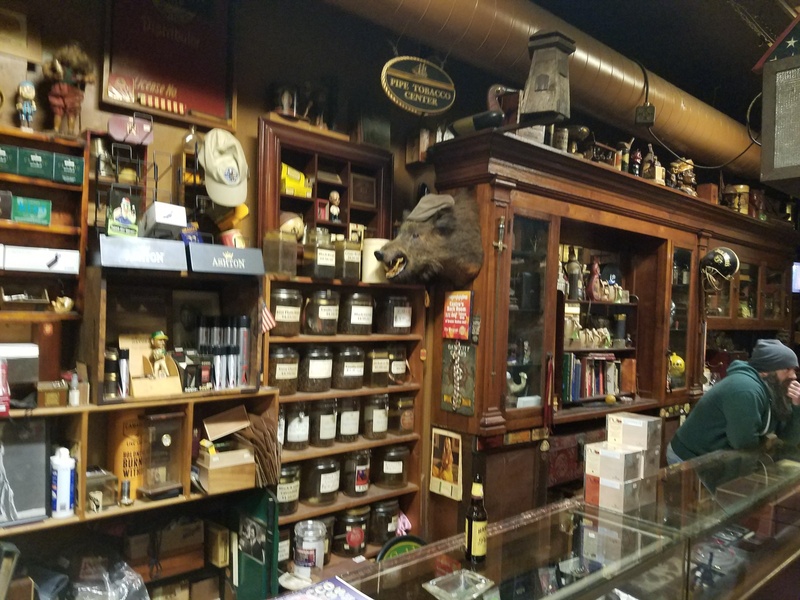 Local Spotlight 1: Smokey Joe’s Cigar House – Worcester MA. 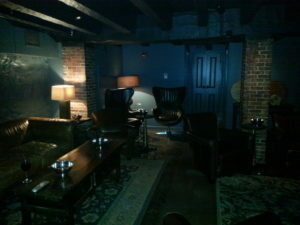 A compact lounge, bar and walk-in attached to a huge night club. 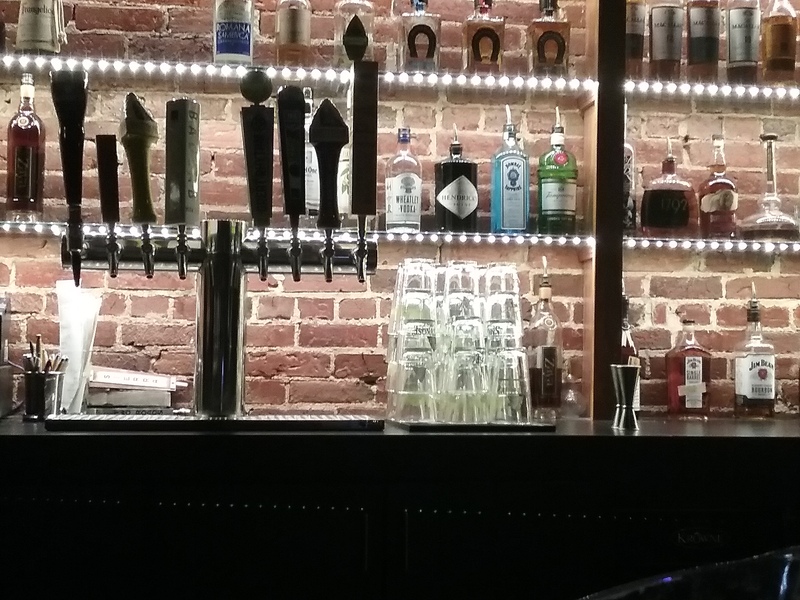 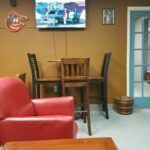 Local Spotlight 2: Puff & Quill Smokery – Randallstown, MD. 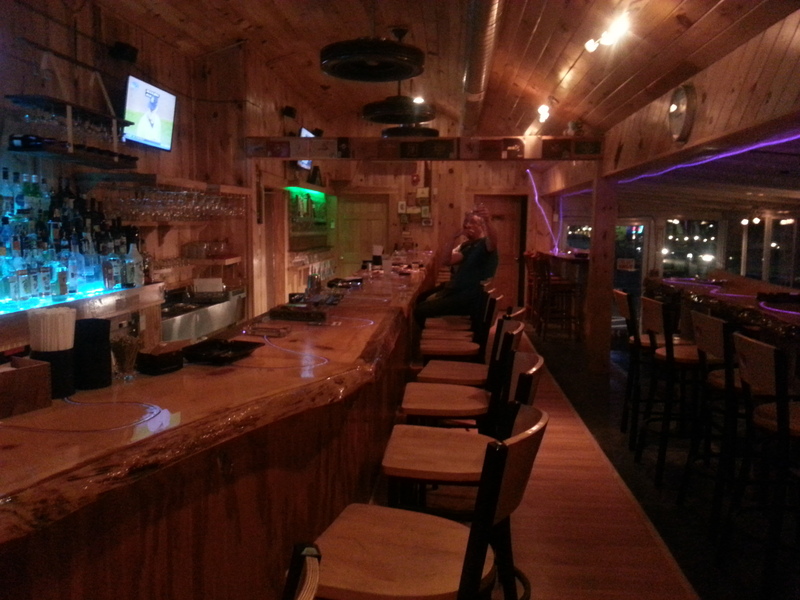 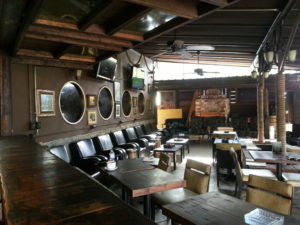 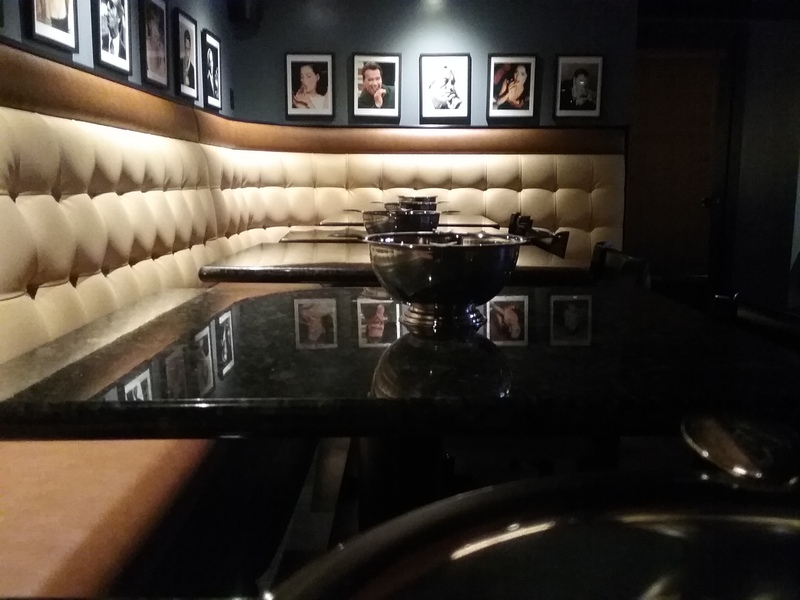 An upscale lounge with many regular and special events. Conspiracy Corner: Fresh News – Assange communications restricted; History repeats itself – the gun debate; Spies poisoned in England; DNC email; Facebook and Amazon under scrutiny; “Q” theories; Kim Jung-Un goes to China. 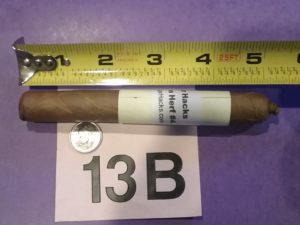 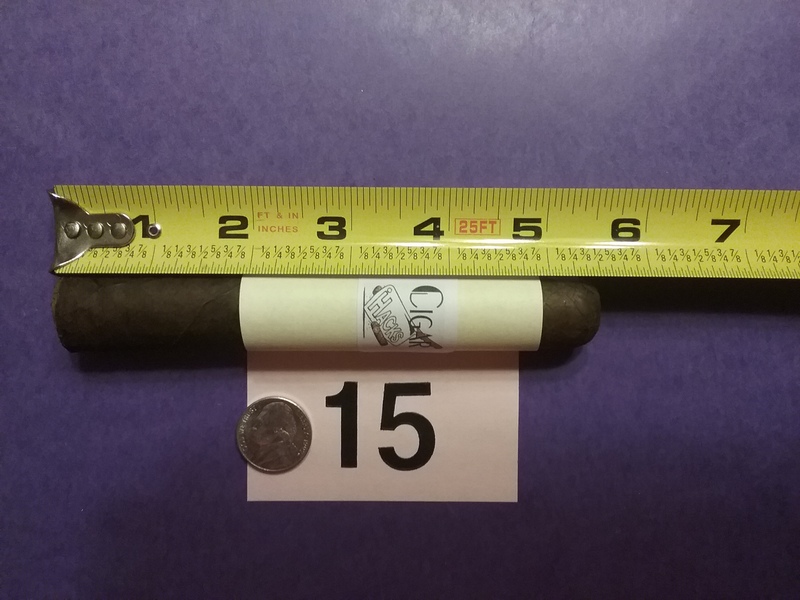 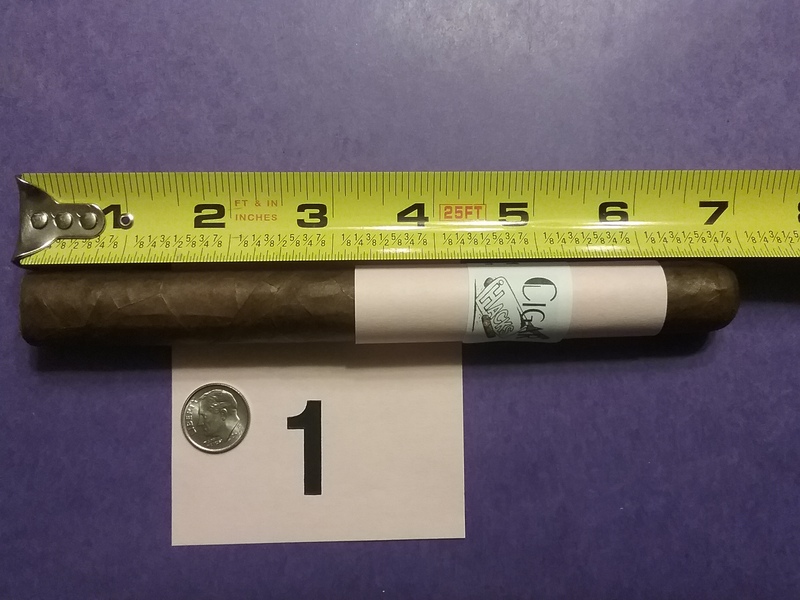 We smoke another great Lancero this episode and somehow that leads to a discussion on starting a Cigar Hacks HR department. 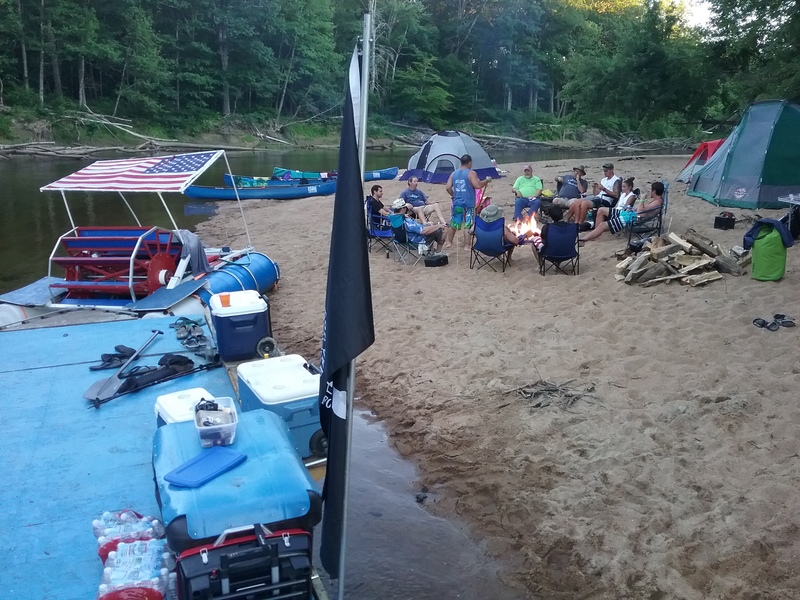 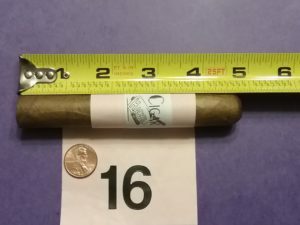 We also discuss bloom, or is it plume, vs. mold; Warner Brothers vs. Disney; piggly tails and shaggy feet; there’s an App with ads for that; iHeart, Kiss 108, & XM Radio; river beer & hidden hops; Cigar Craig and his dog Macha; limos; and bagpipes. 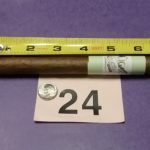 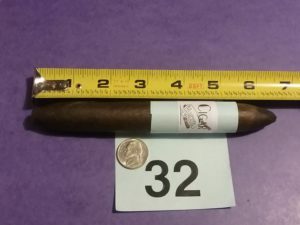 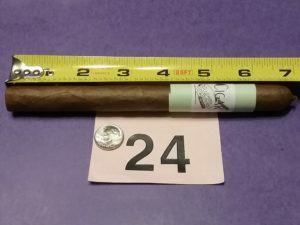 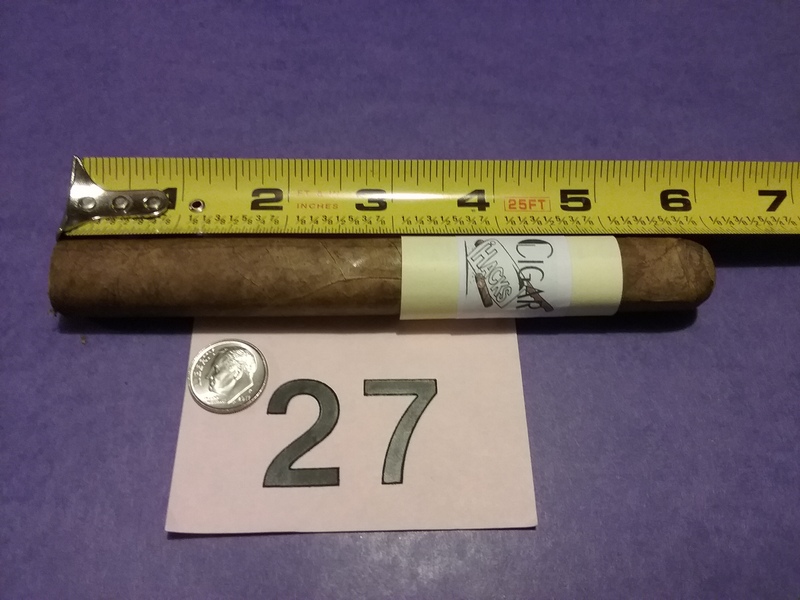 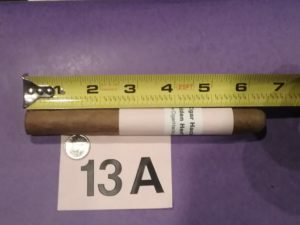 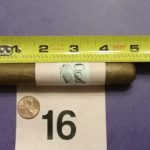 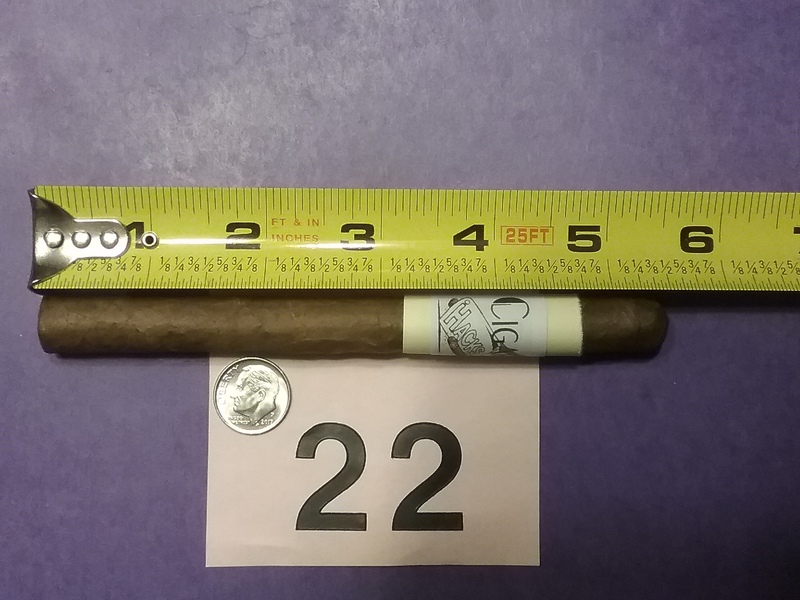 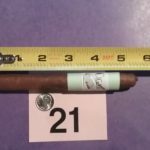 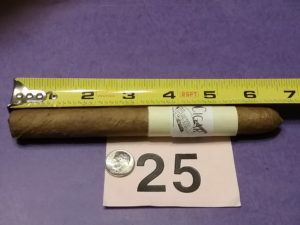 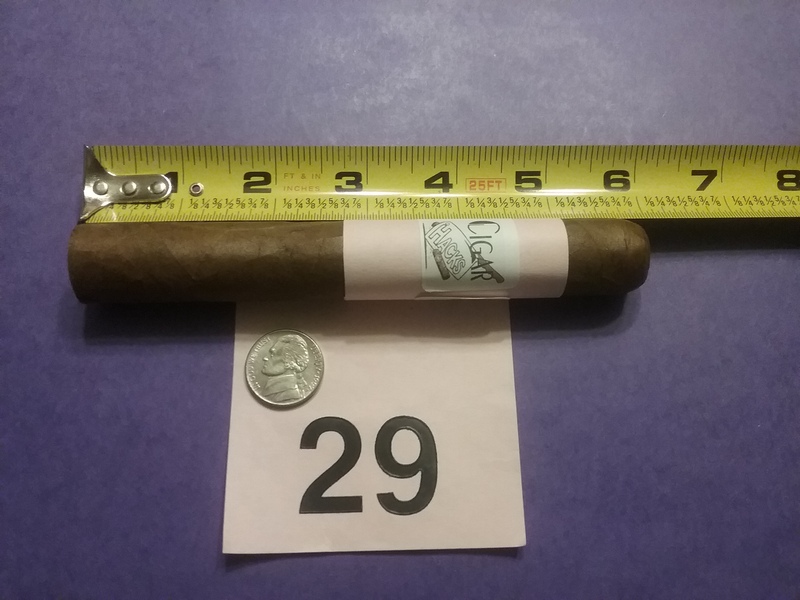 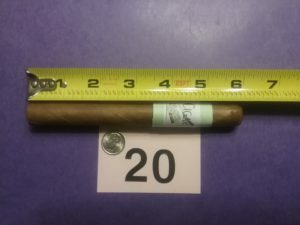 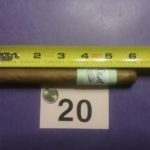 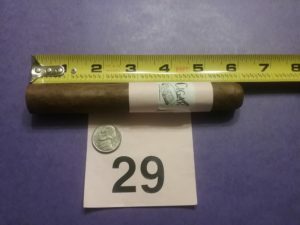 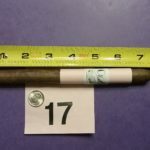 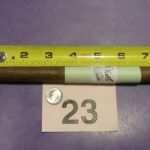 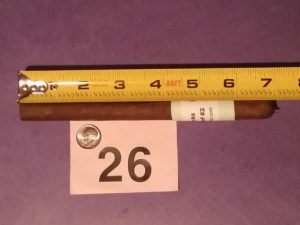 In the second half the Hidden-Herf Reveal stumps the panel and we go to large ring gauge cigars; Girl Scout cookies; vodka; and curling one more time. 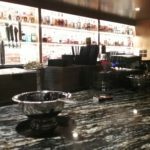 Current Events: CigarPlanner.com now covers most of the events we talk about, filter by state to see events in your area. 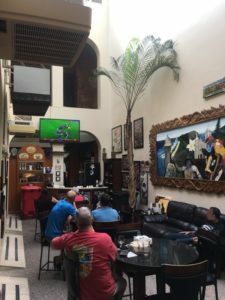 It’s already more up to date than the episode. 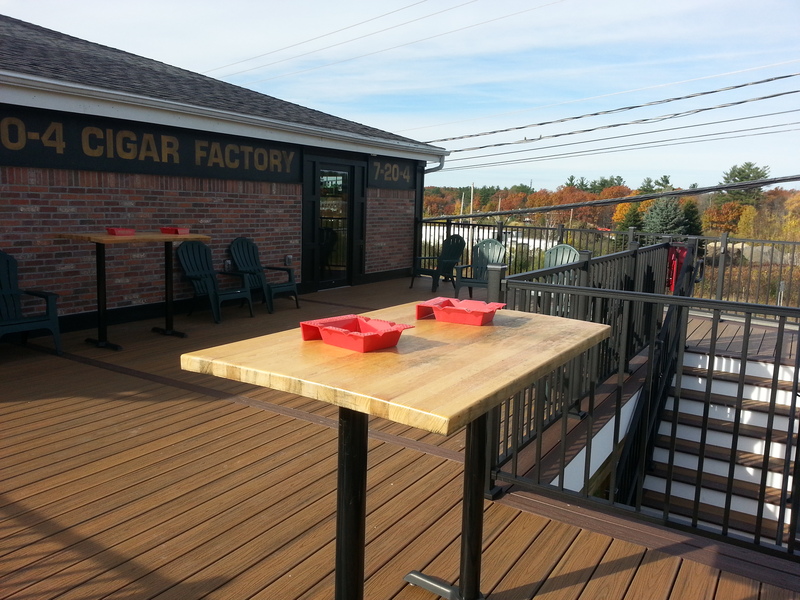 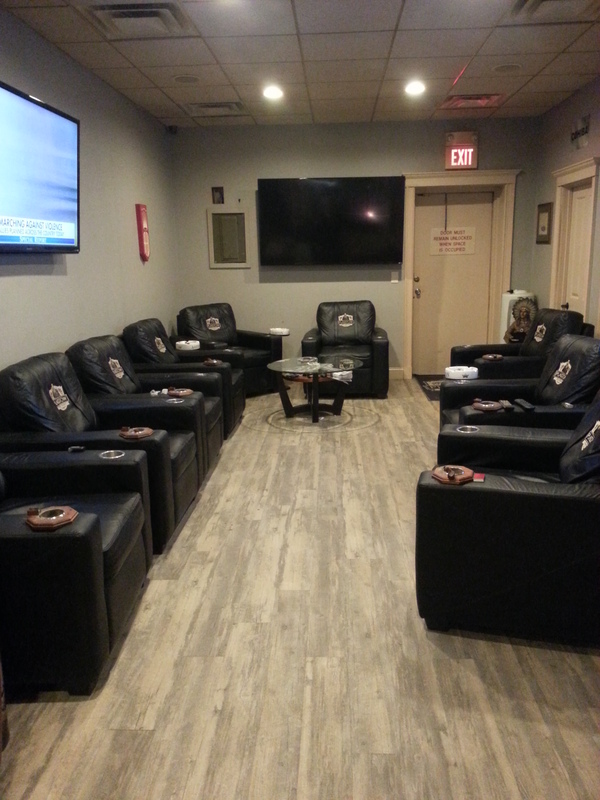 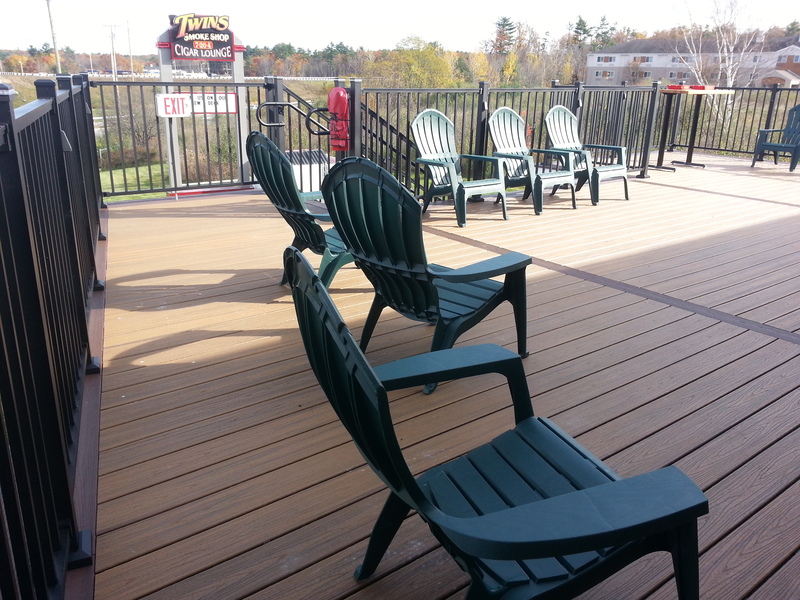 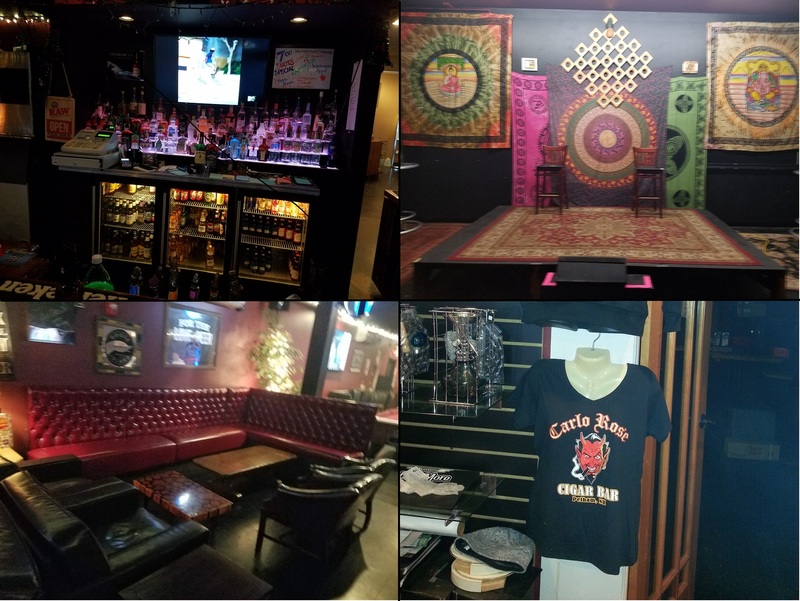 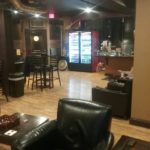 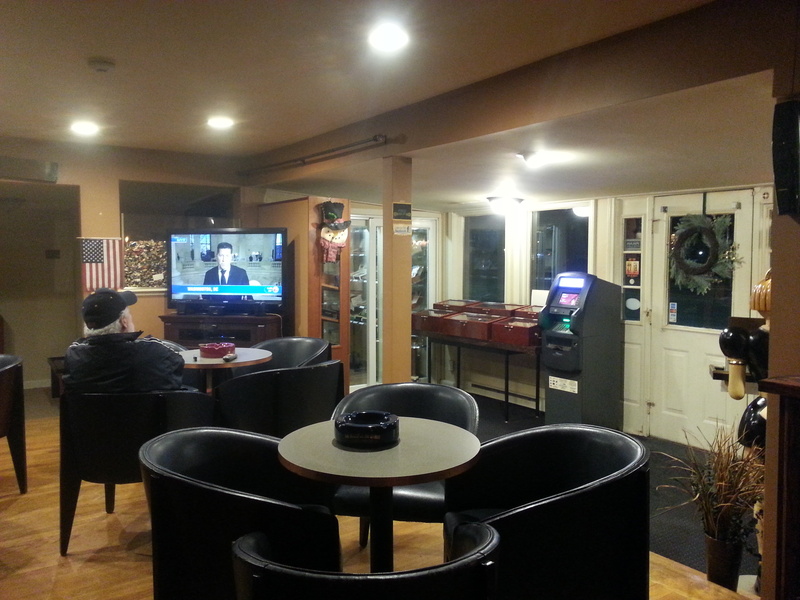 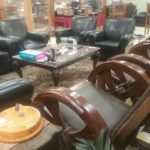 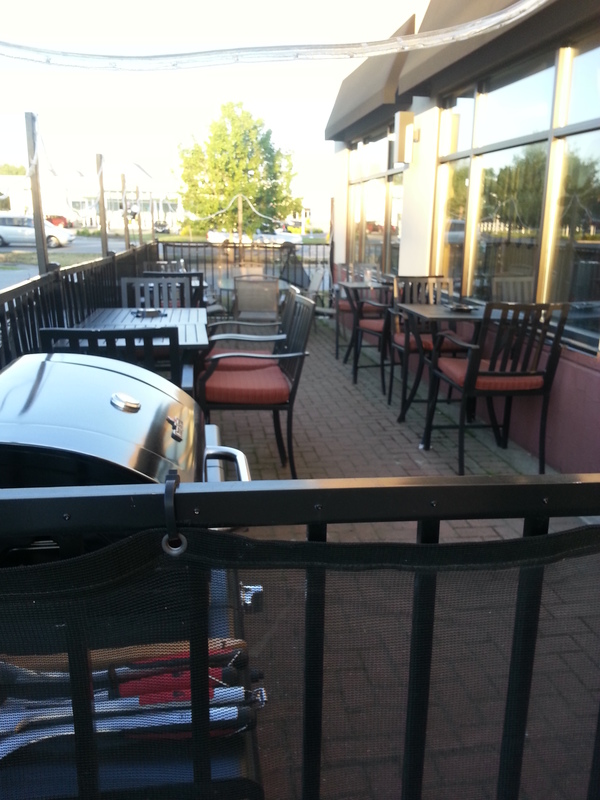 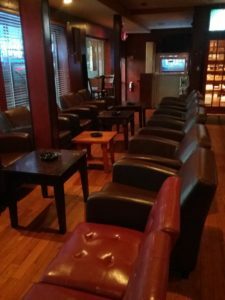 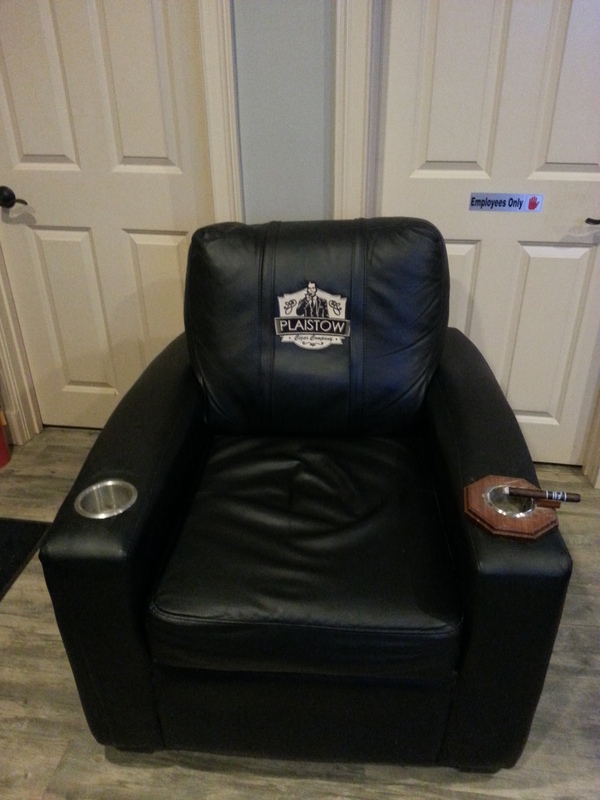 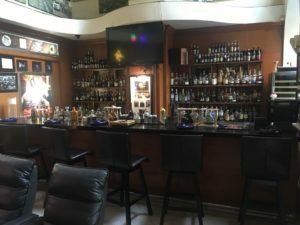 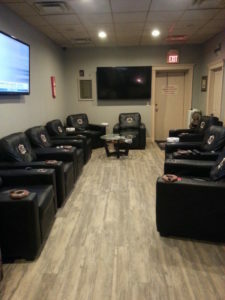 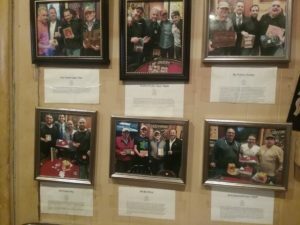 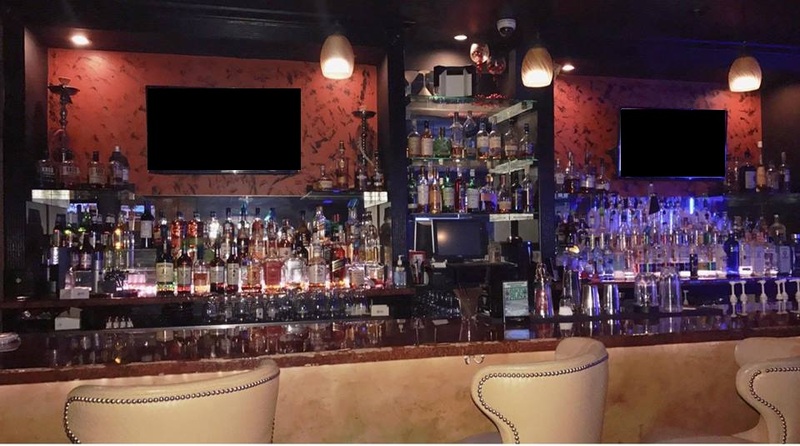 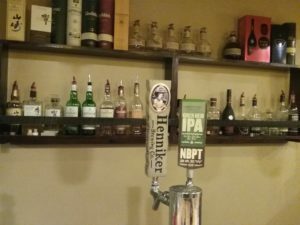 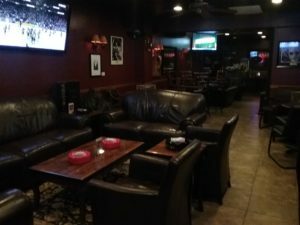 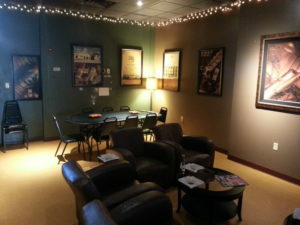 Local Spotlight: Cigar and Lounge – Watertown MA. 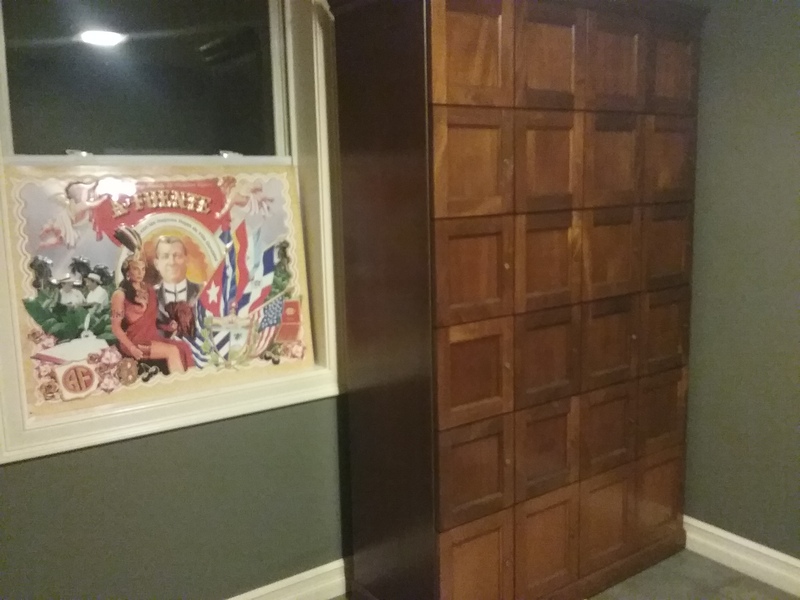 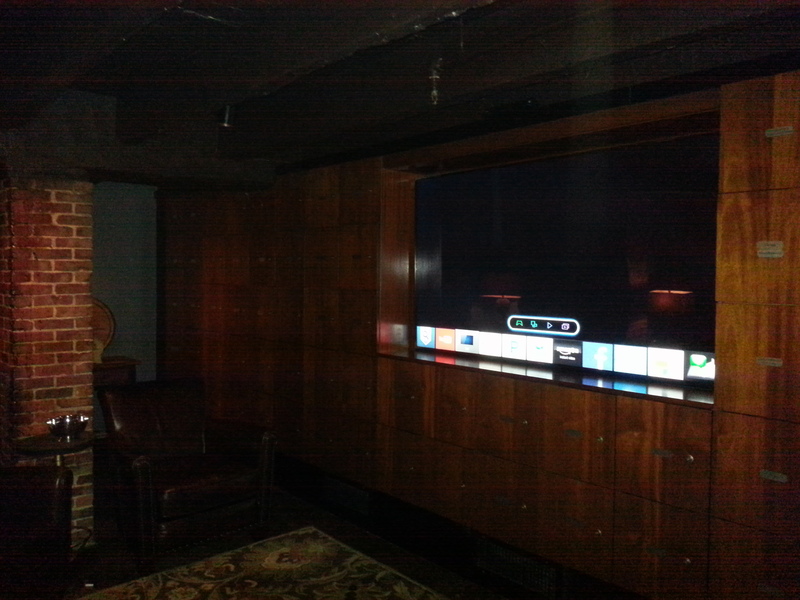 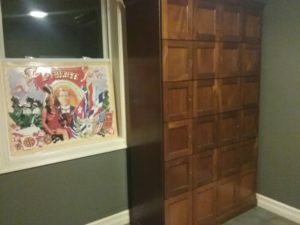 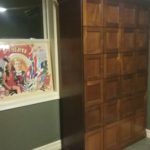 A lounge with a walk-in humidor that contains a collection of some unique brands, multiple rooms, and a locker system. 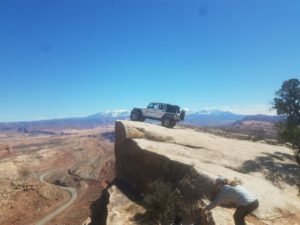 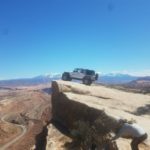 Conspiracy corner: We finally get to the Denver International Airport – thanks to Jimmy from Colorado for all the research. A new Hack name is coined – “Comedy Chris”. 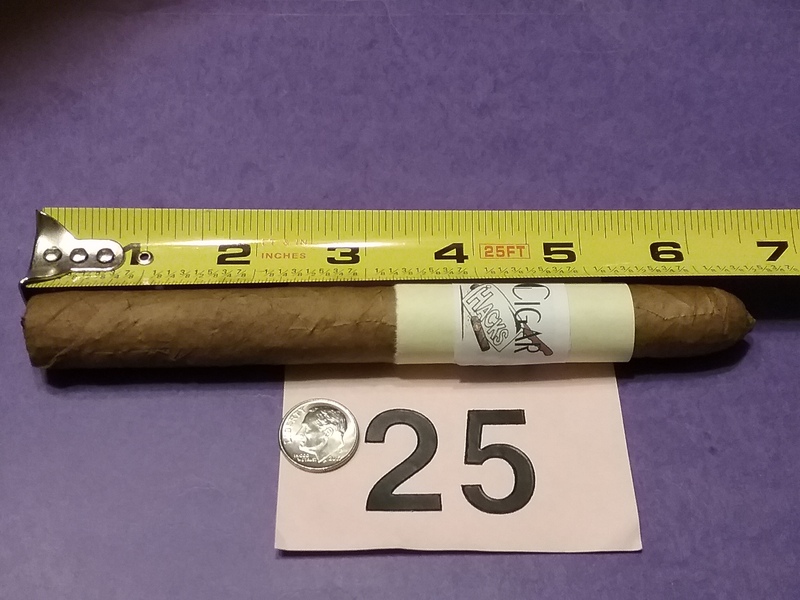 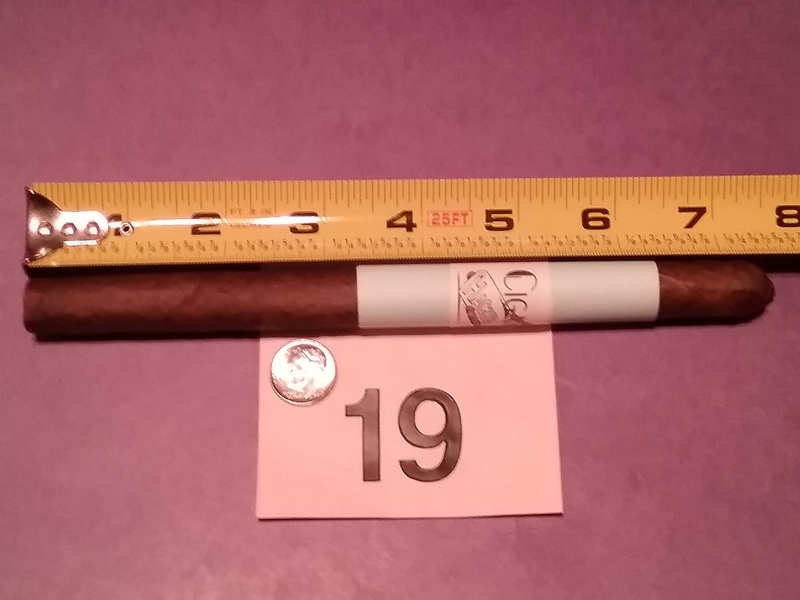 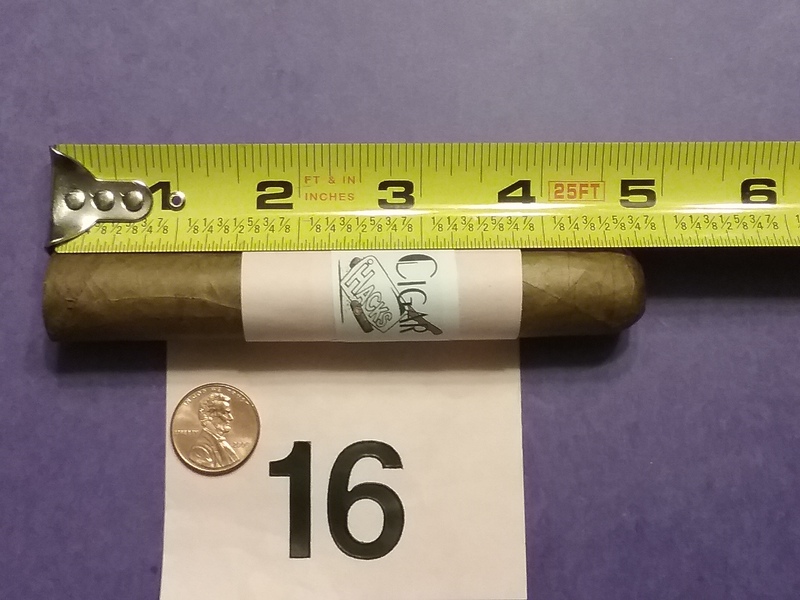 We smoke a Cuban Lonsdale for this episode’s Hidden-Herf – thanks to Larry on the Cape. 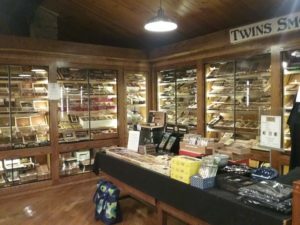 The general theme is scattered around firearms, the Nürburgring (not the Nuremberg Ring), your brother-in-law’s uncle’s cousin, The Retrohale, “Twins, Twins, Twins”, Candelas for St. Patrick’s Day. “Marc from Maryland” is introduced as a new remote corespondent to cover the Maryland area. He joins us for a segment and gives a live report from Social Cigar in Windsor Mill, MD as well as his recent trip to Atlanta lounges. Current Events: We report on events at a dozen lounges: Twins, Carlo Rose, Federal Epping, Federal Dover, Cigar Shenanigans, O’Shea’s, Castro’s Nashua, Castro’s Keene. Cloud Palace, Michael’s, Victory Bar & Cigar, Tinos. 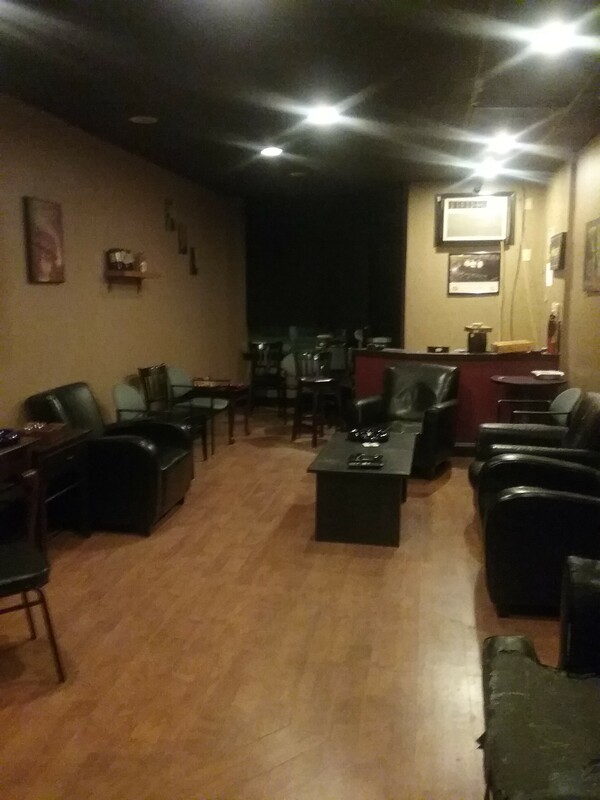 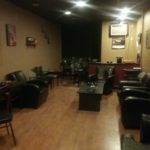 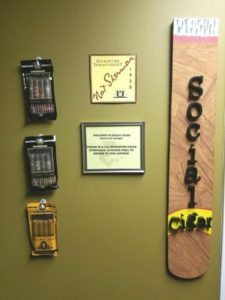 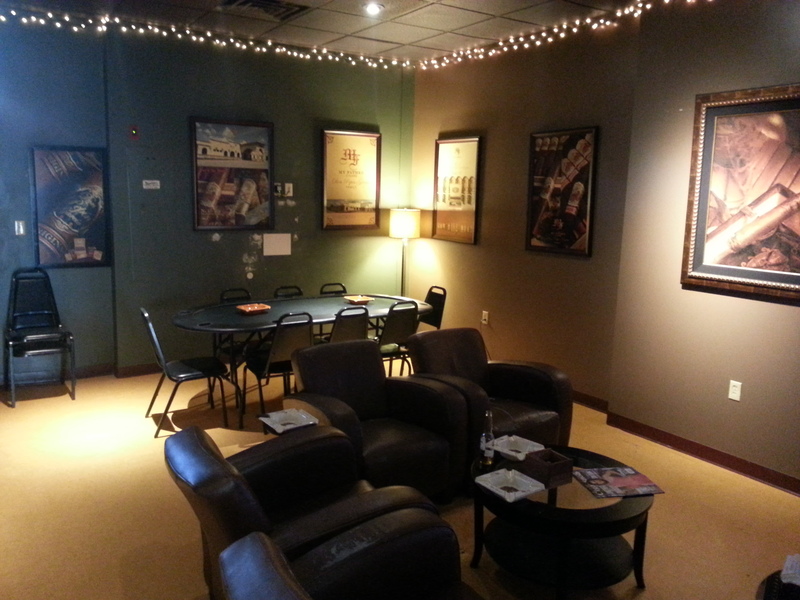 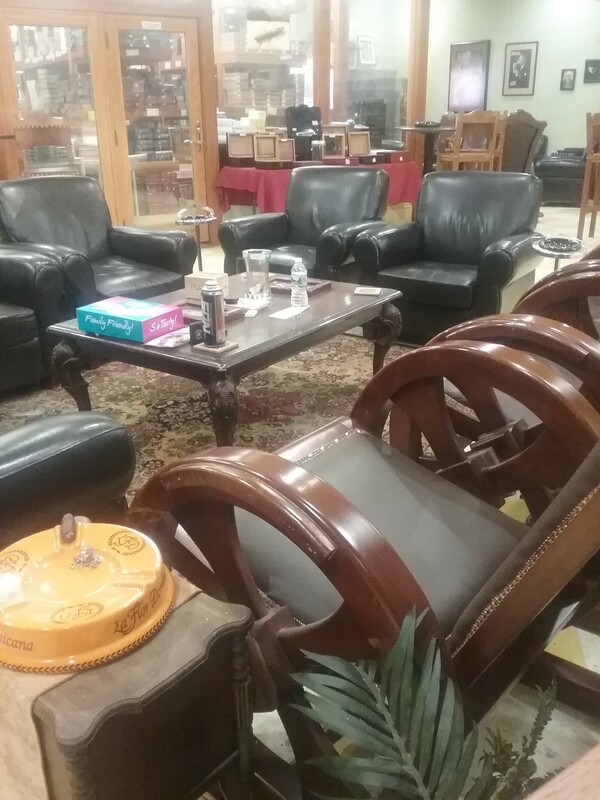 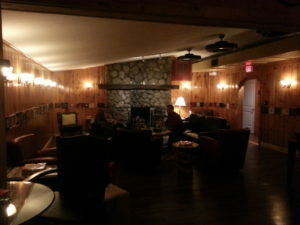 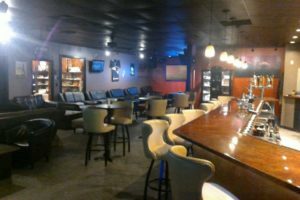 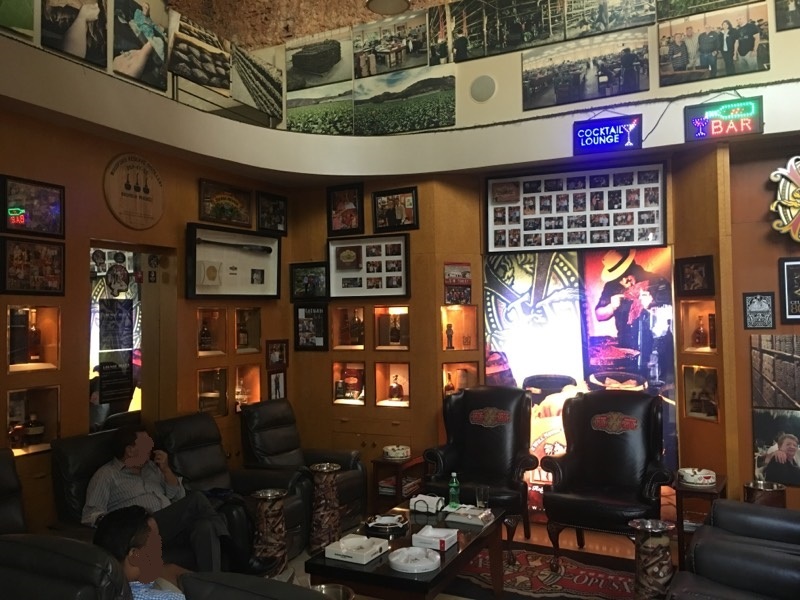 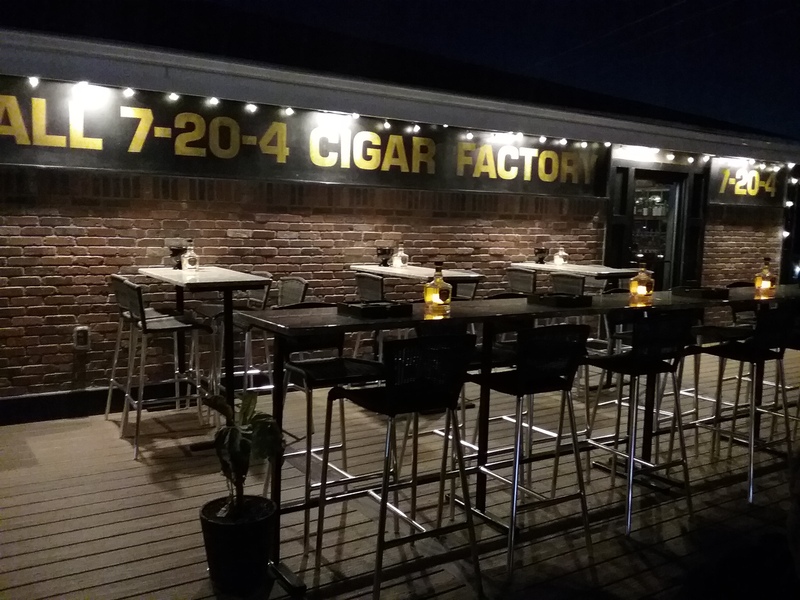 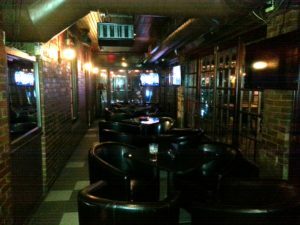 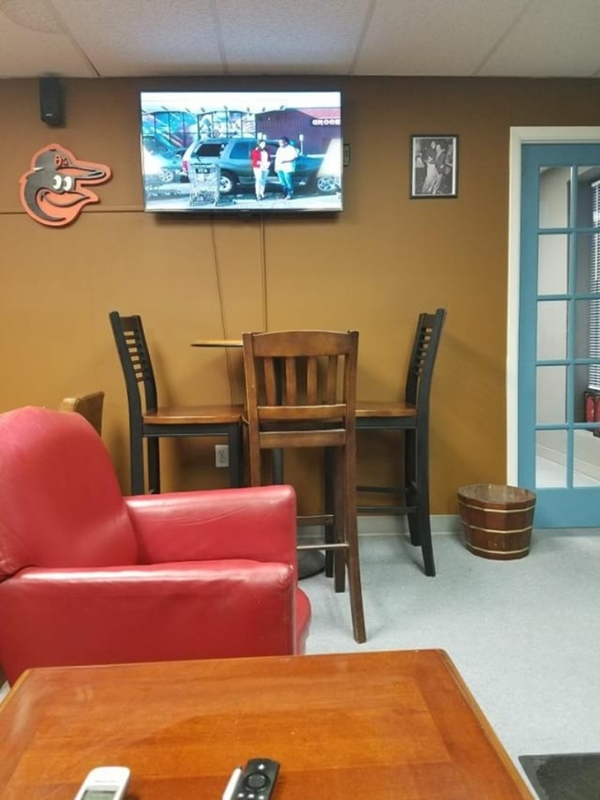 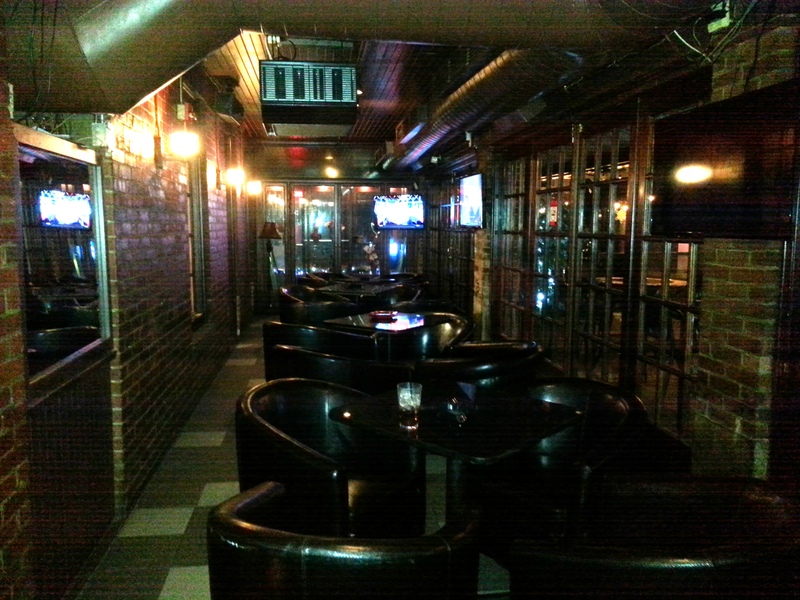 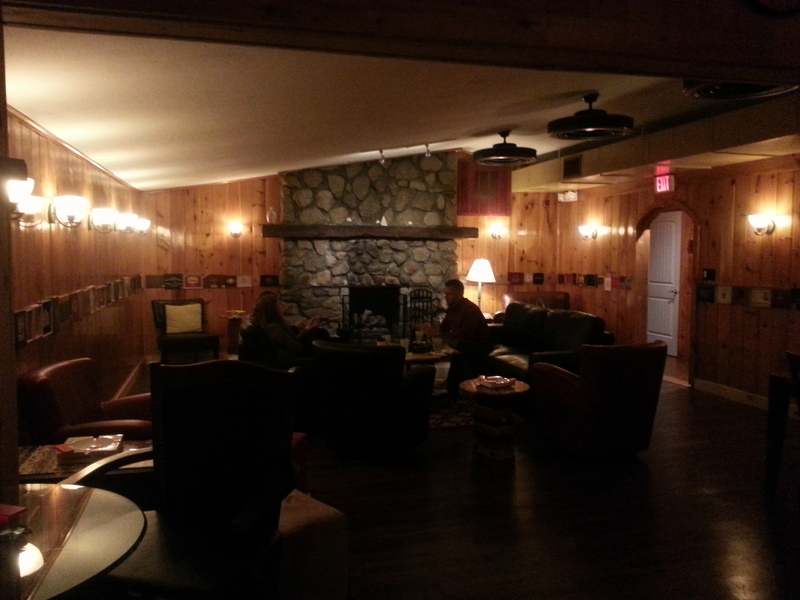 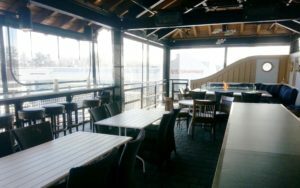 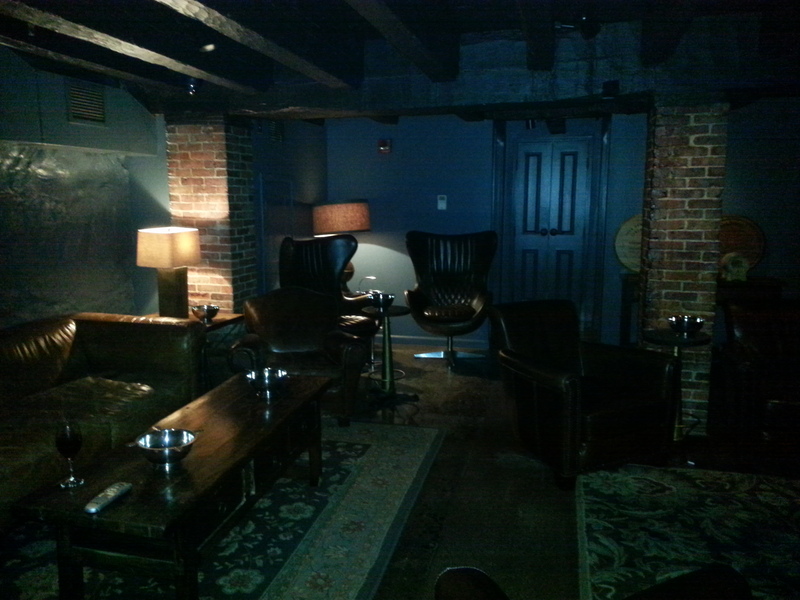 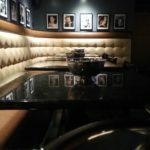 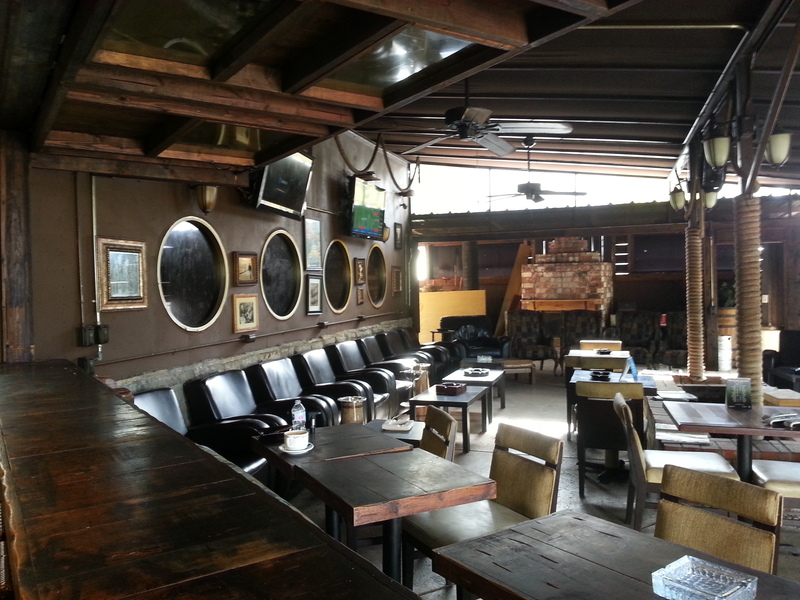 Local Spotlight: Social Cigar Factory & Lounge – Windsor Mill, MD A relatively new lounge that has been open for about three months. 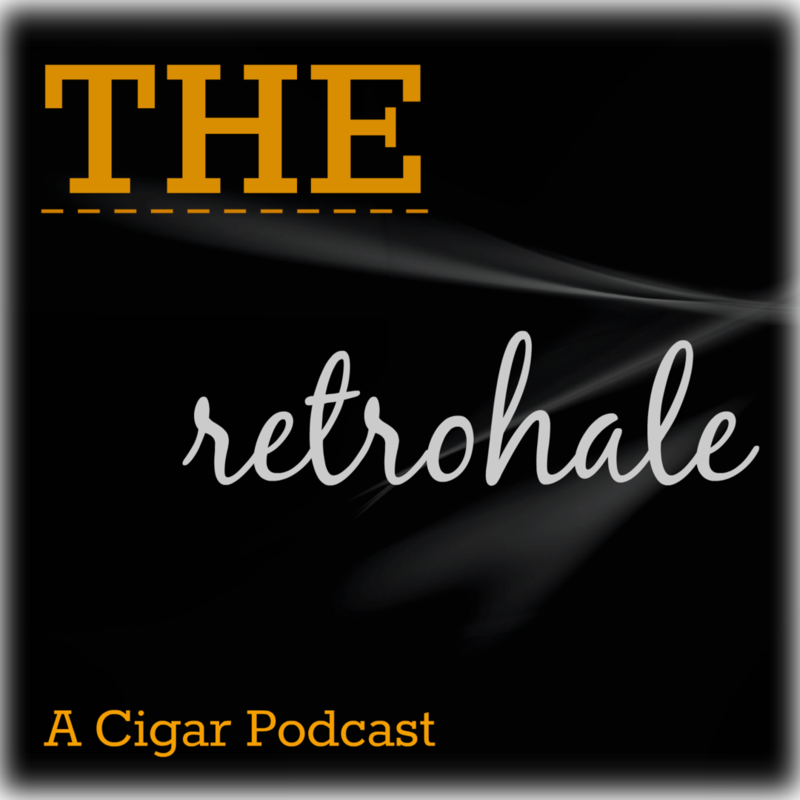 We are joined by Bret and Mark, hosts of the Retrohale Podcast, for a Special Edition of the Cigar Hacks. The script quickly goes out the window as we ad-lib our way through a two hour collaboration with the Fort Collins, Colorado based Retrohale. 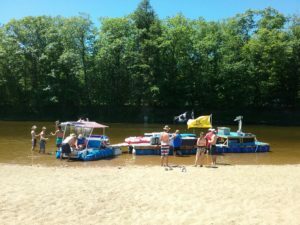 Arguably our “most fun” episode to date. 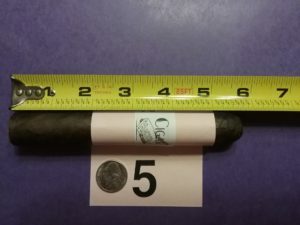 The Special Edition “remote” format leads us down a different path for some of our regular segments including Current Events, Local Spotlight, and Conspiracy Corner but we somehow get it all covered. 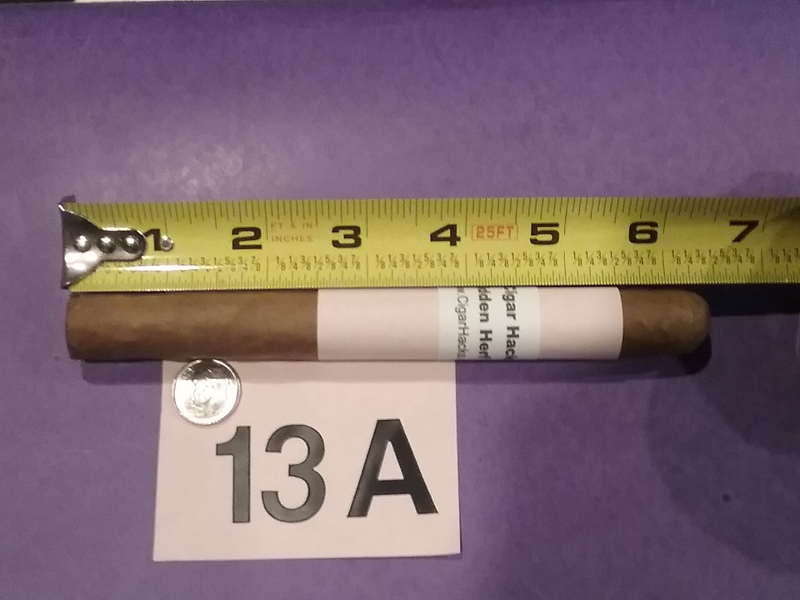 The Hidden Herf is almost guessed long distance and provides for another great reveal. A sampling of topics: Hammer & Sickle sampler pack; Avalanche vs. Bruins; Denver Airport – conspiracy; Hockey trivia challenge; There should be an app for that; Bottled hose water; Rocky Mountain Cigar Festival; Curling has no checking; Cigars, Cigars, Cigars; Arnold trivia and a lot more. 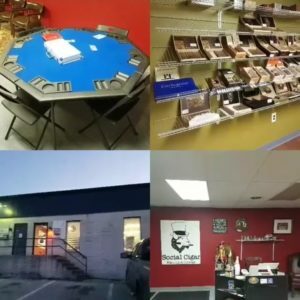 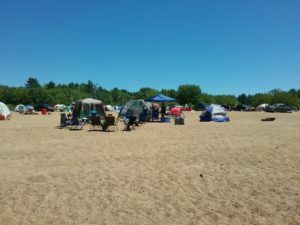 Local Spotlight: Edward’s vs. Twins vs. 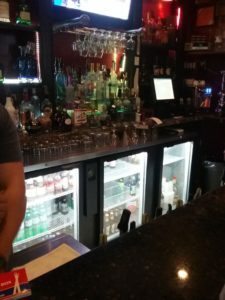 Shenanigans – Edward’s in Fort Collins, Colorado is now under new management since the last visit so your mileage may vary. 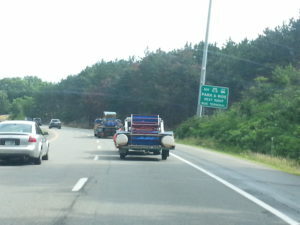 Two firsts for us this episode; a mobile session from Dom’s Asylum and a remote call-in from our first regional corespondent, Rhode Island Mike. 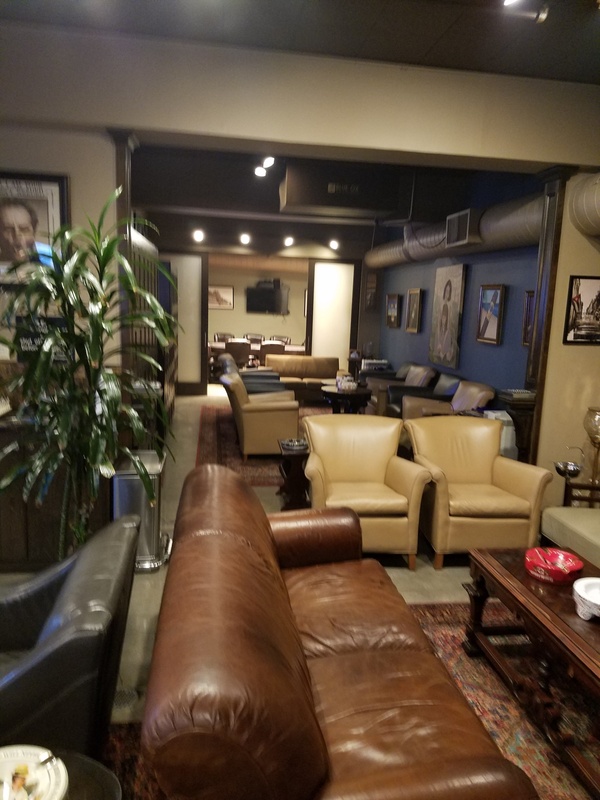 With the new capability we will be able to do sessions direct from the lounge we are reviewing while interviewing the owners and staff as well as have remote call-ins from special guests and/or regional corespondents . 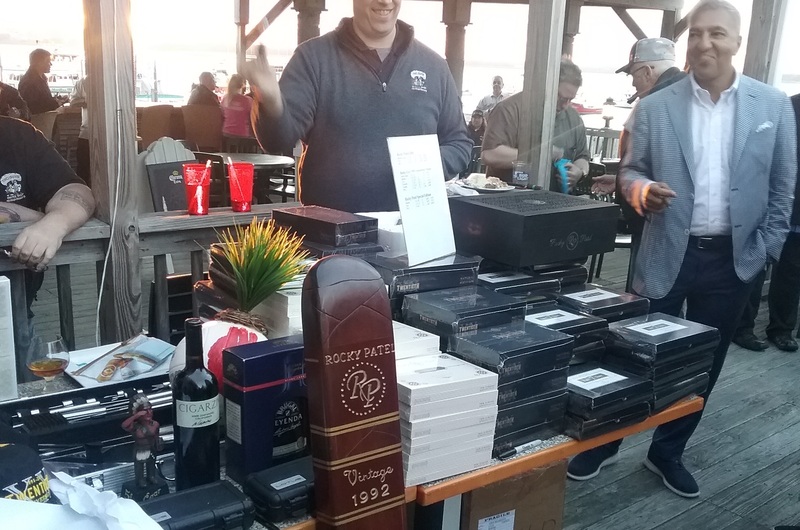 The topics are a bit scattered; Olympic Curling, Bourbons and Whiskies, electric cigar lighters, limousines, finding cigar events, pipe smoking, starter cigars, Free Masons, Boveda 30-day bags. 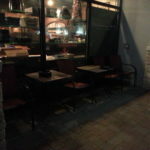 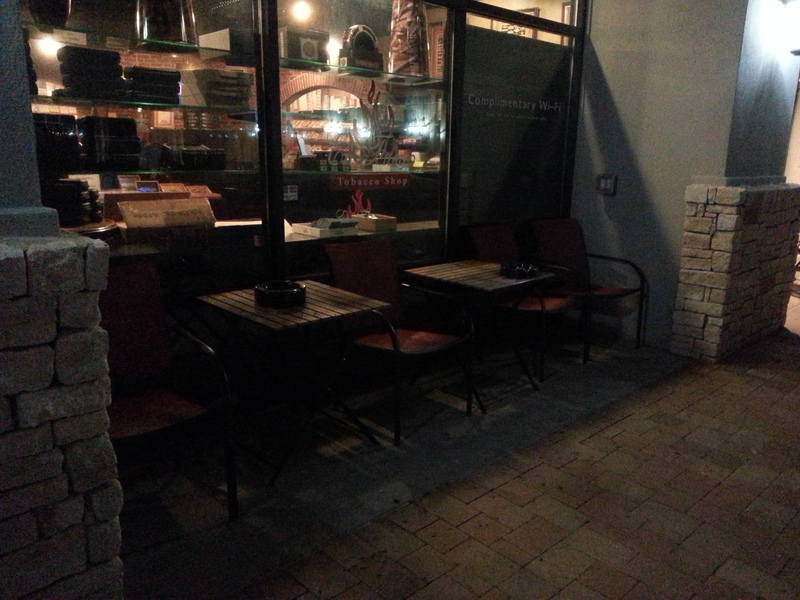 La Faraona Cigars, The Dudley, fire pits, etc. 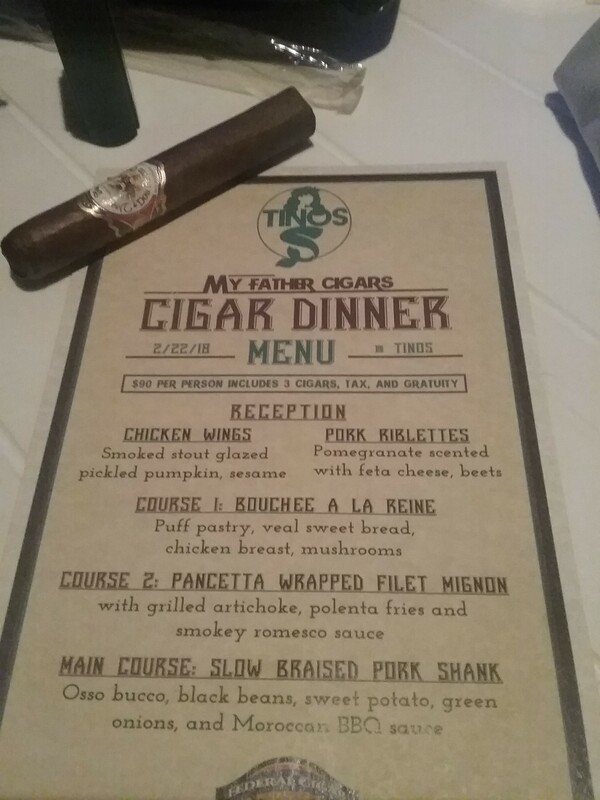 Current Events: A recap of the My Fathers Steak and Cigar Dinner. 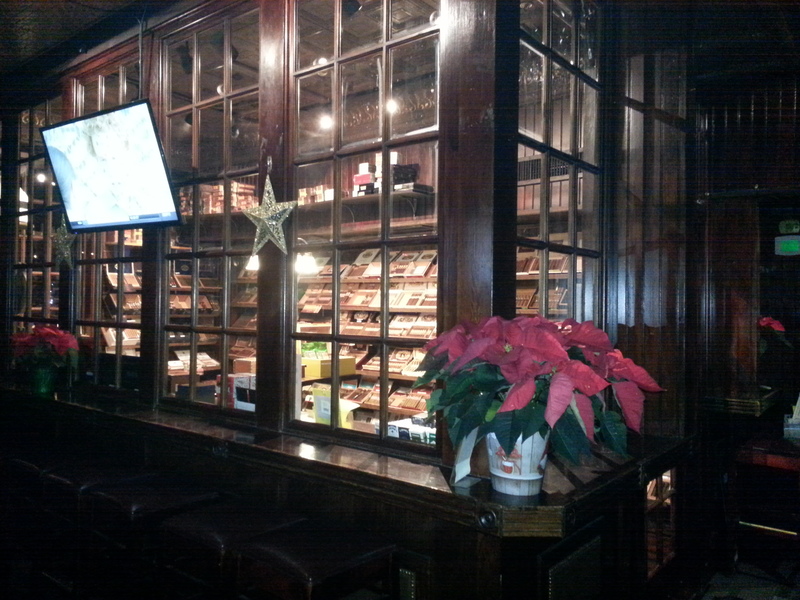 Victory Bar & Cigar wins an award, Cigar Explorations tours Atlanta. 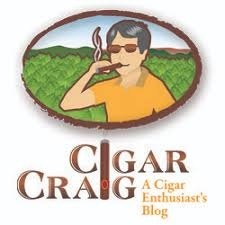 Perdomo’s YouTube Channel is on-line. 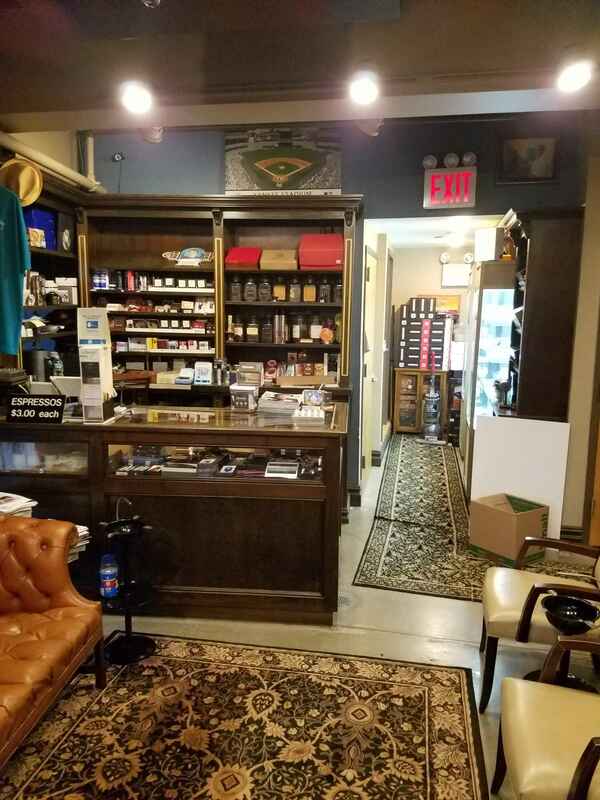 The March Madness sale is this week at Two Guys. 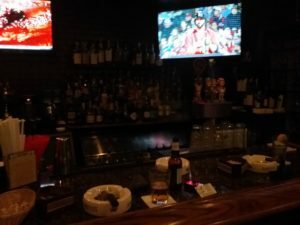 East vs. West Pint Night at Twins. 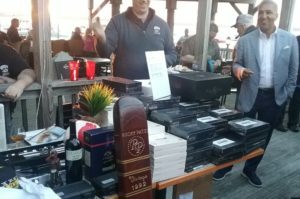 Cigars for Warriors at Cigar Shenanigans. Hiram & Solomon Cigars at Castro’s Nashua. An Evening with Miami Cigar Co. at the Ale House Cigar Bar. 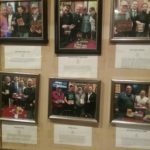 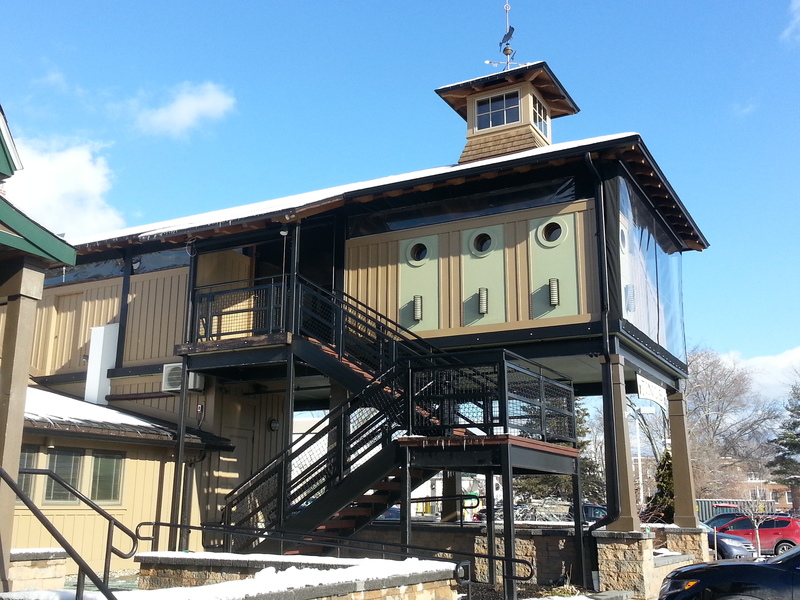 Local Spotlight: S&A Cigars – Watertown MA. 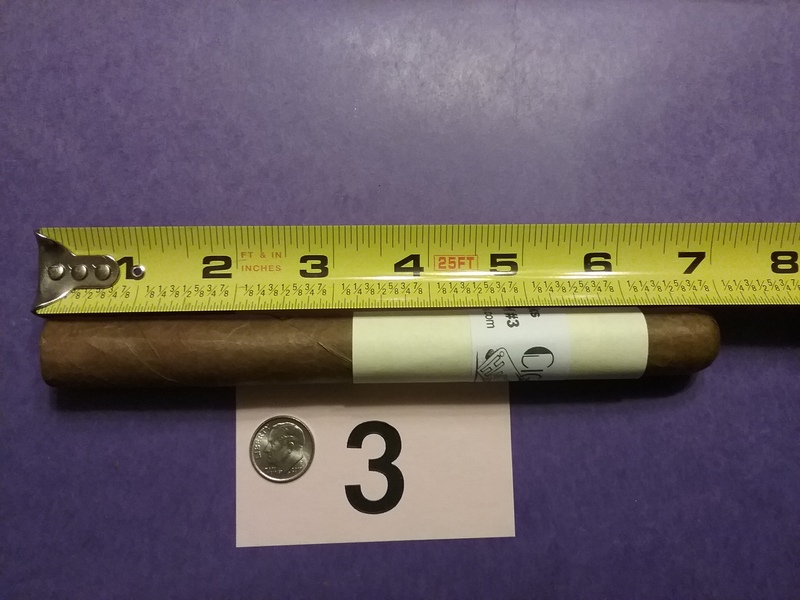 Another candidate for the Hidden Gem Series. A great selection of high-end and unusual finds. 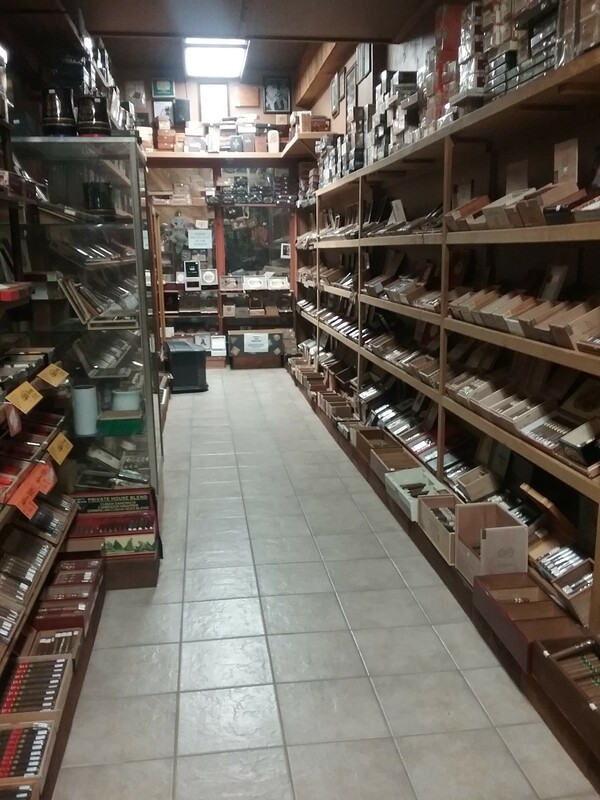 A friendly shop with a great customers and staff. 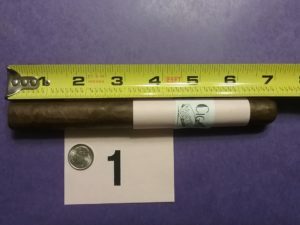 Conspiracy Corner: A recap of a variety of topics by Nick. 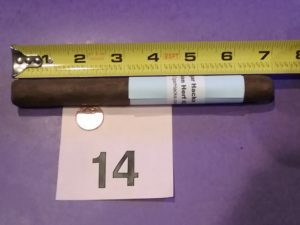 We have another maduro for the Hidden Herf and again it’s not a heavy cigar proving that color is not a reliable indication of strength. 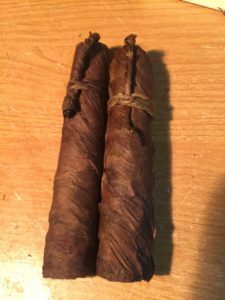 Dark cigars being heavy cigars is fake news. A discussion around two unique cigar events: Cigar Explorations Cigar Crawl and Cigars After Hours Business Networking. 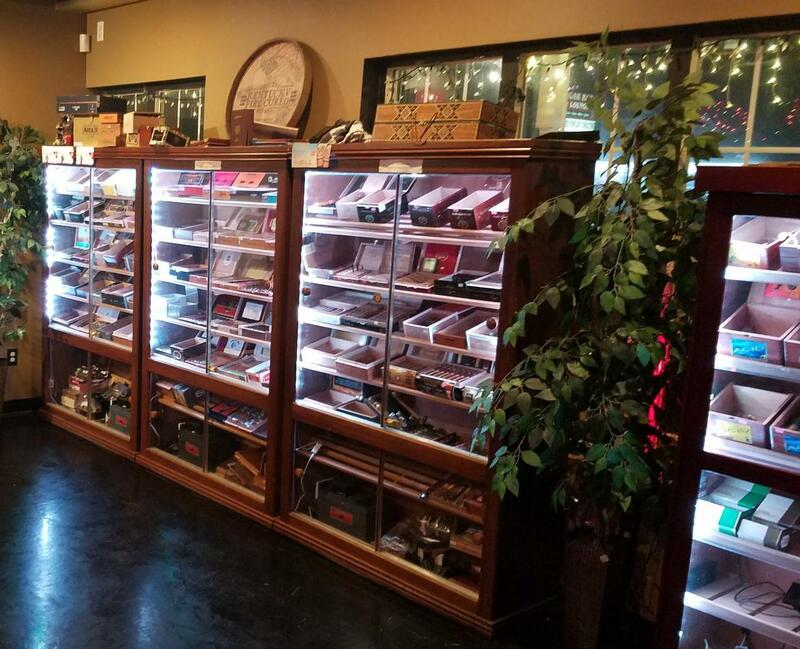 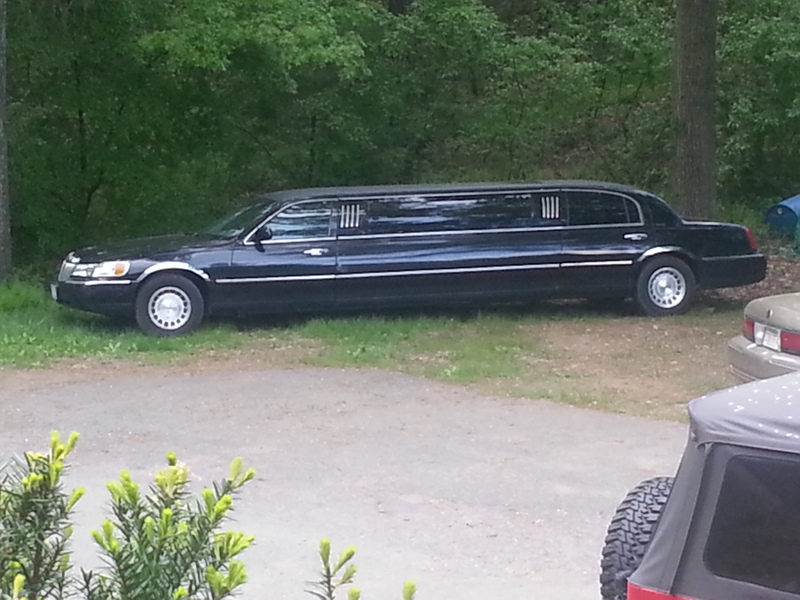 The cigar crawl gets us thinking about a bus of our own. 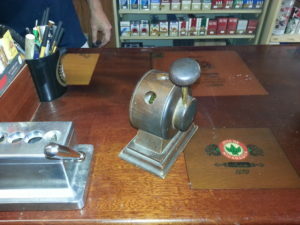 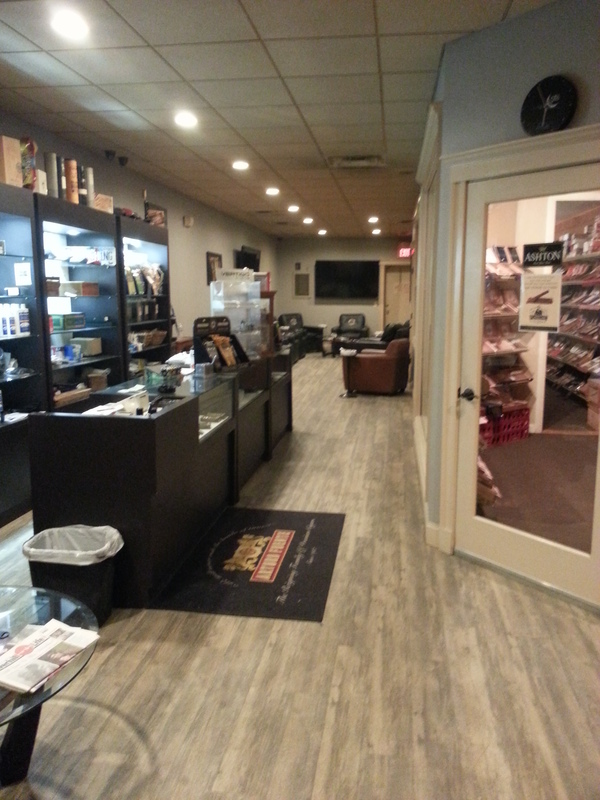 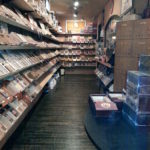 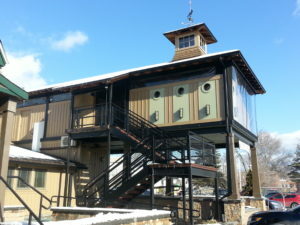 Current Events: Federal Cigar Dover has moved to the new location; 97th Anniversary party Portsmouth, 3/2. Carlo Rose – Right Off The Bat – 3/31. 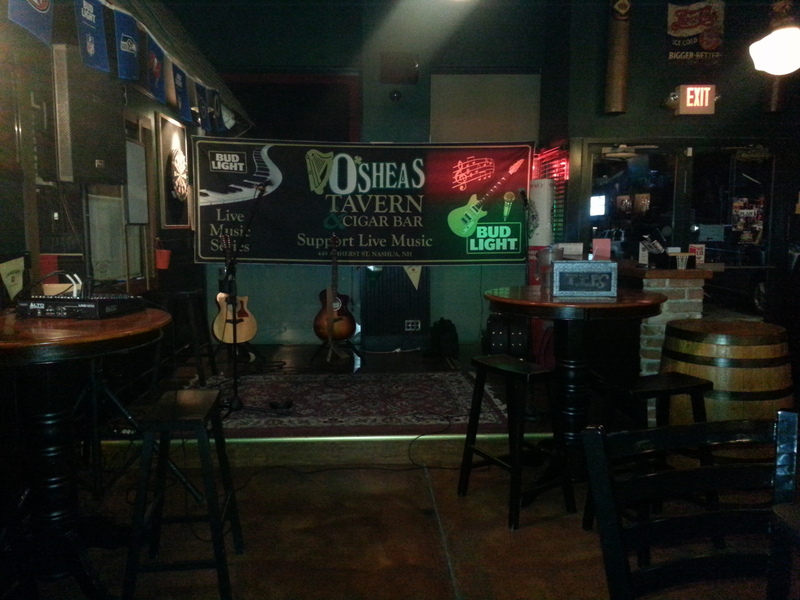 O’Shea’s Irish Tavern – Live entertainment Thu-Sat, March 1-3, Mando and the Goat, Jenni Lynn Duo and Thunderstruck. 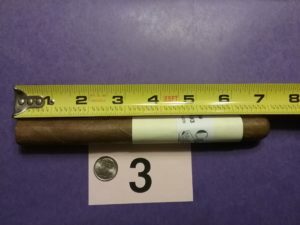 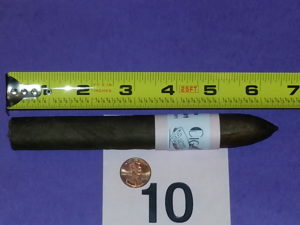 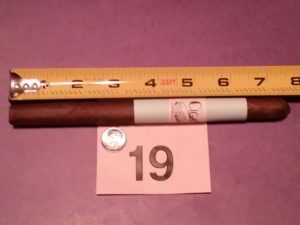 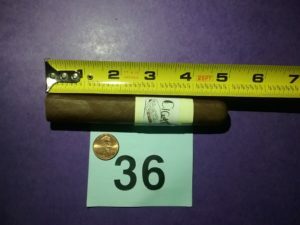 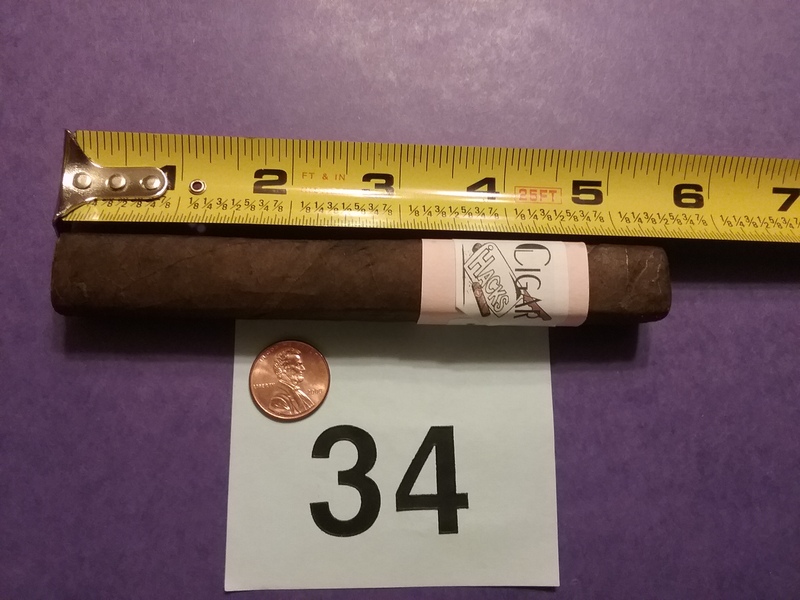 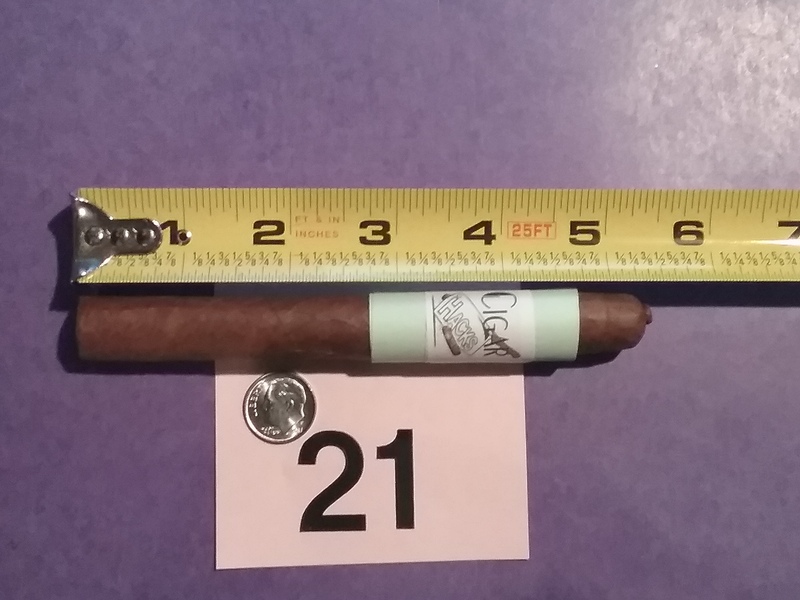 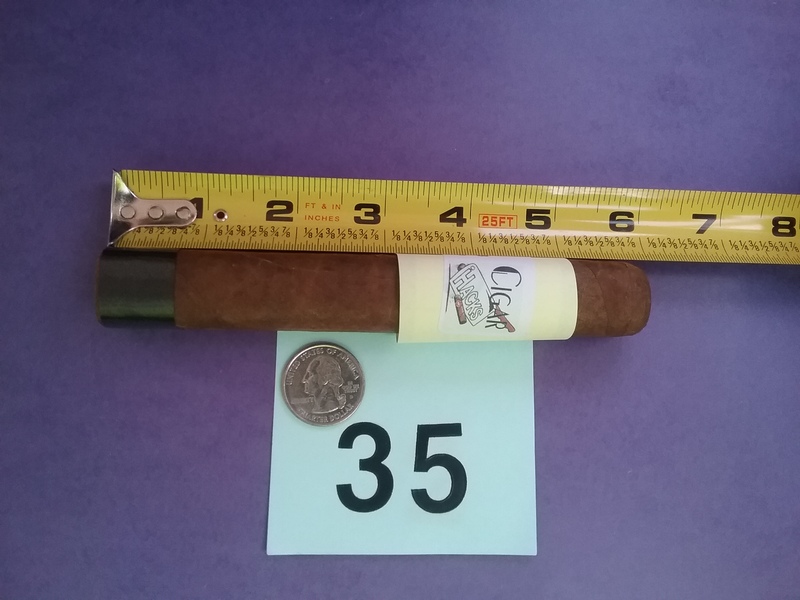 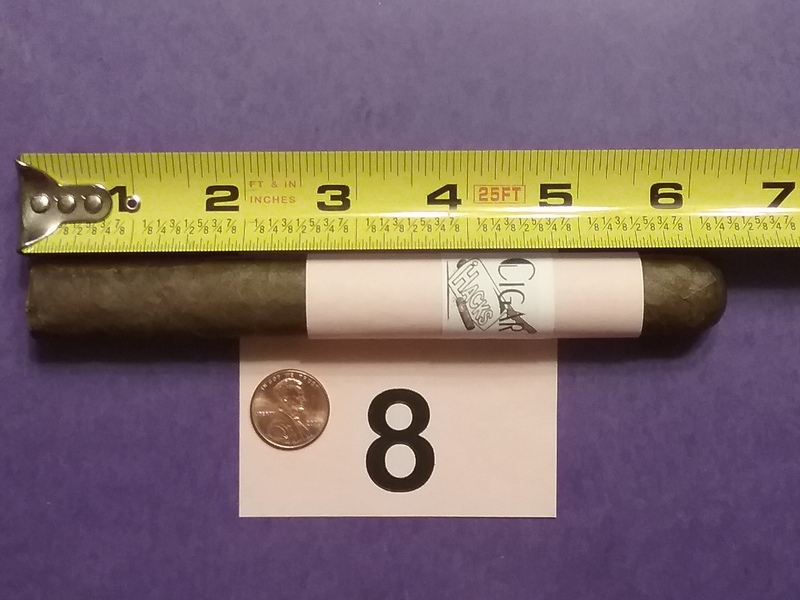 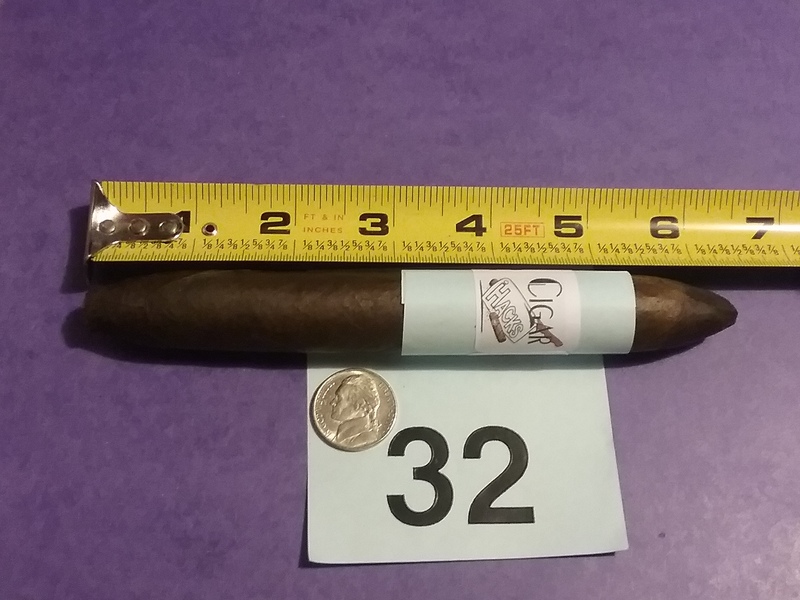 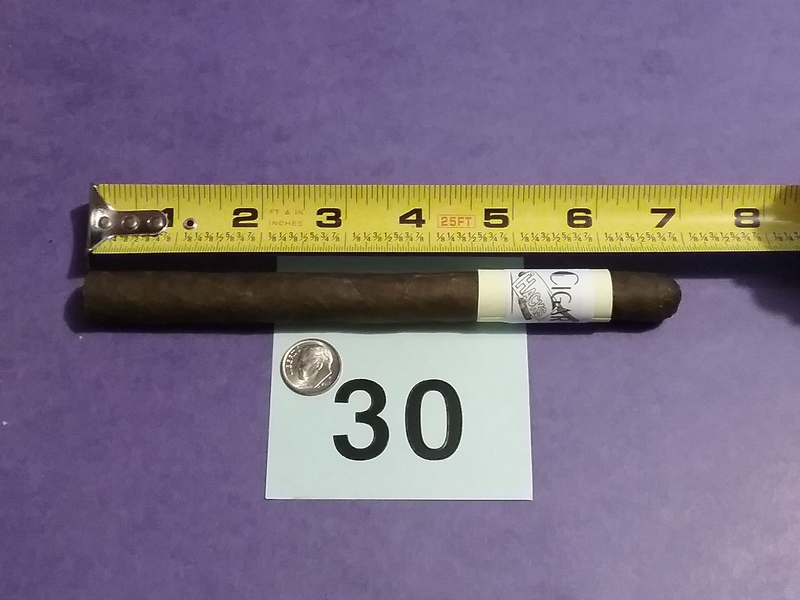 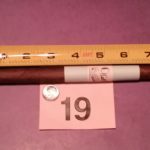 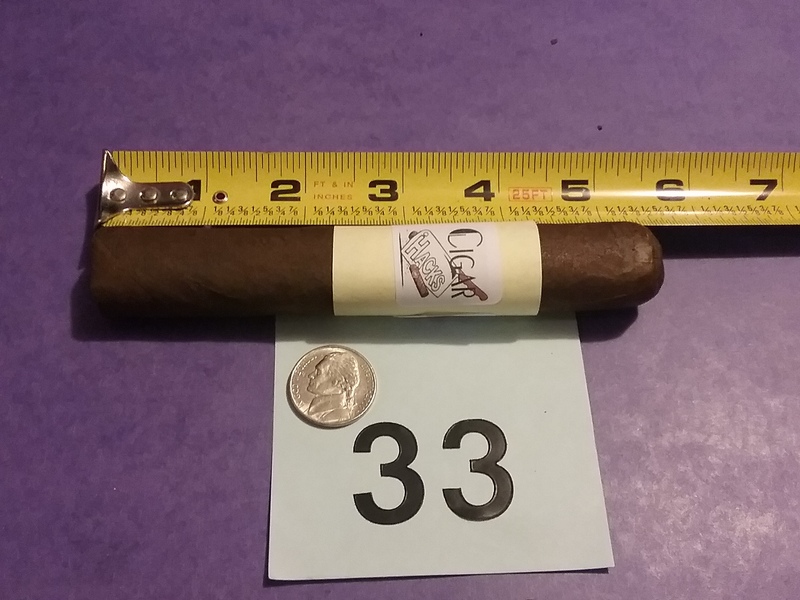 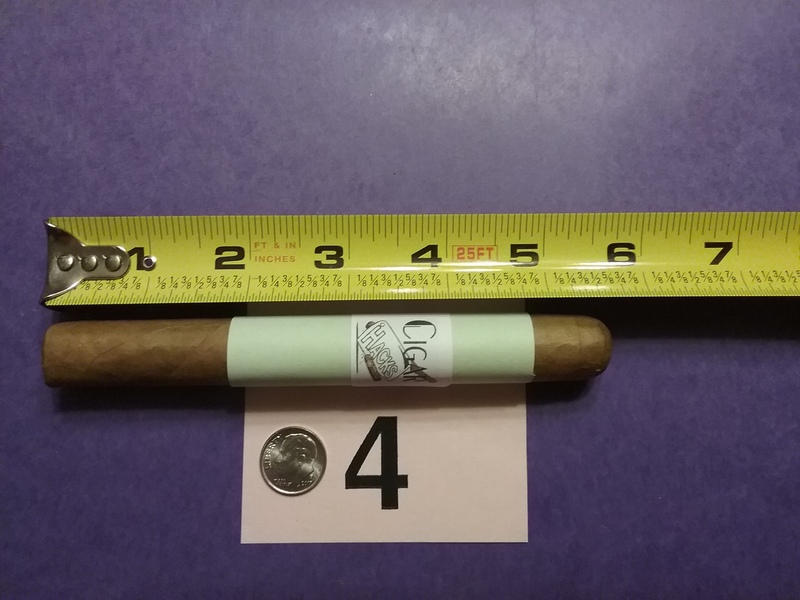 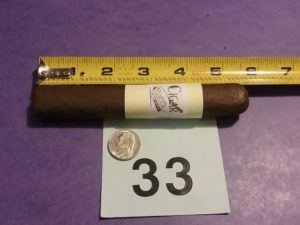 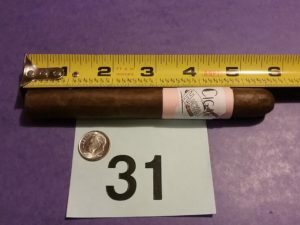 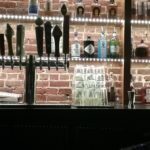 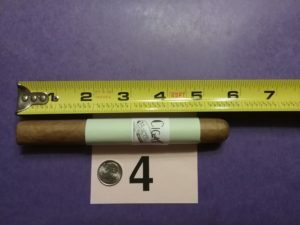 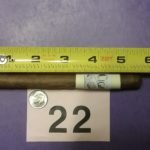 Castro’s Nashua – Ashton 3/2, Monday Happy Hour Series, Dunstable Cigar, 3/12. 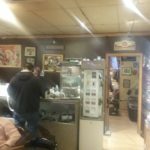 Michael’s – Fellowship of the King on 3/9. 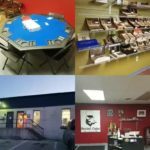 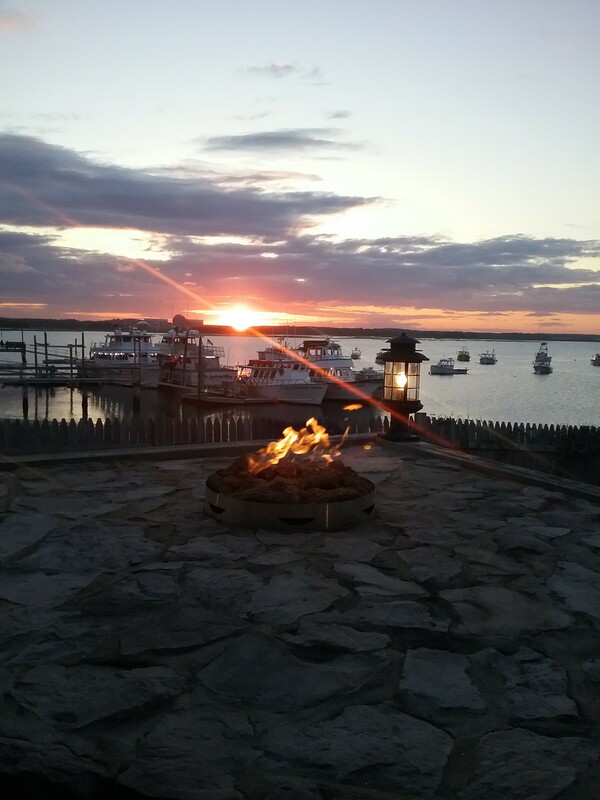 Local Spotlight; Puff The Magic – Hyannis MA. 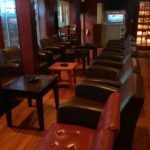 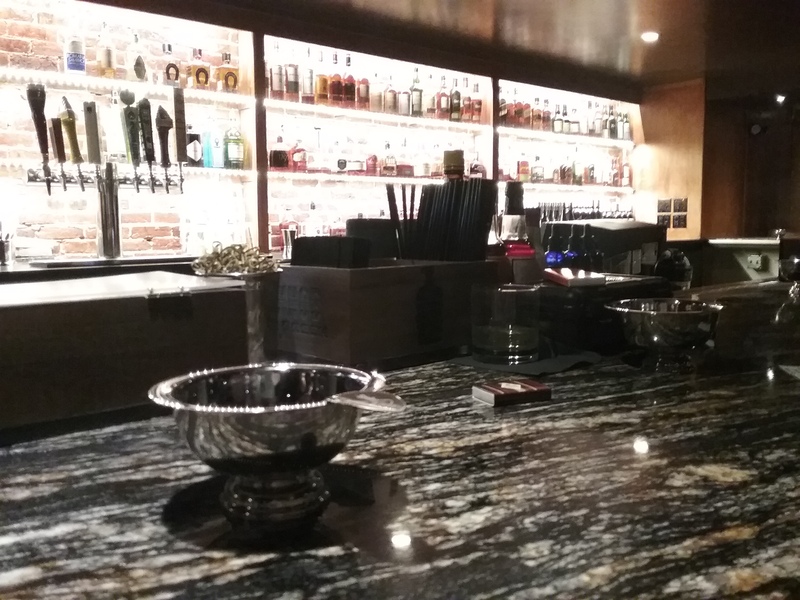 A cigar lounge, piano bar, and oasis in a downtown location. 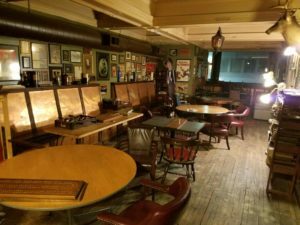 Conspiracy Corner: Hunting Hitler – Corresponenet Mike give an account of the History Channel’s series. 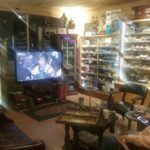 His interest in history and this topic fits right in to this segment.